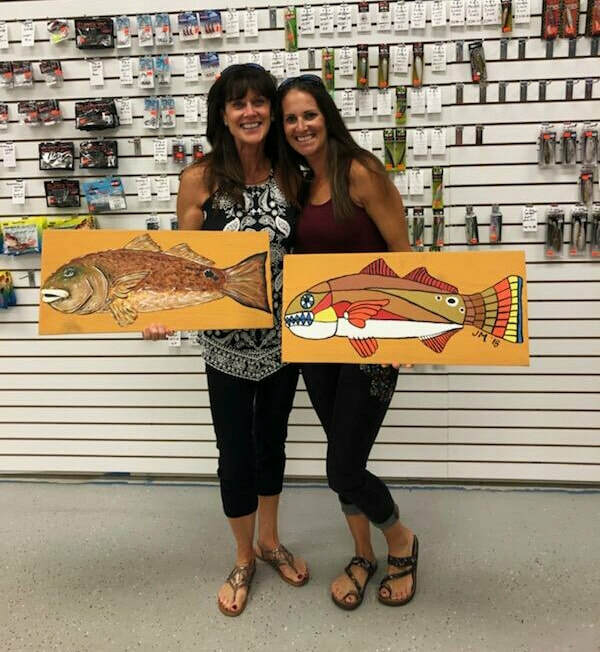 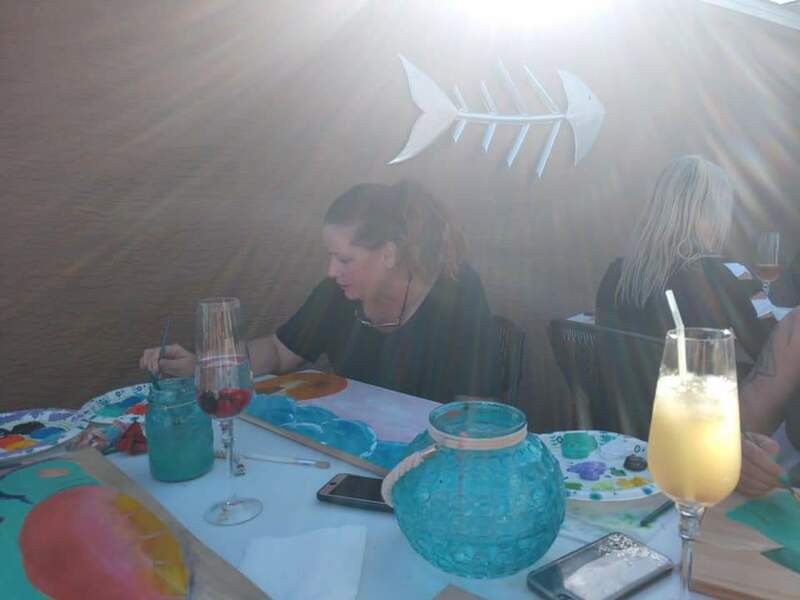 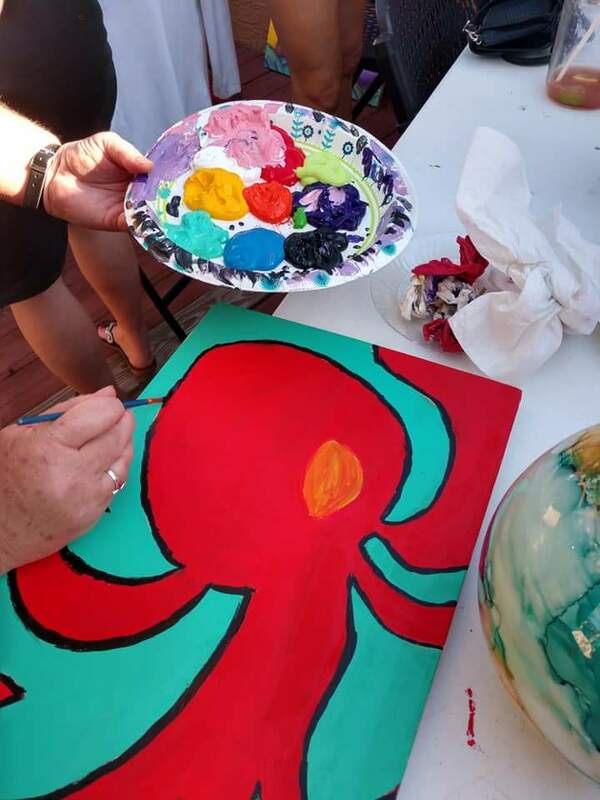 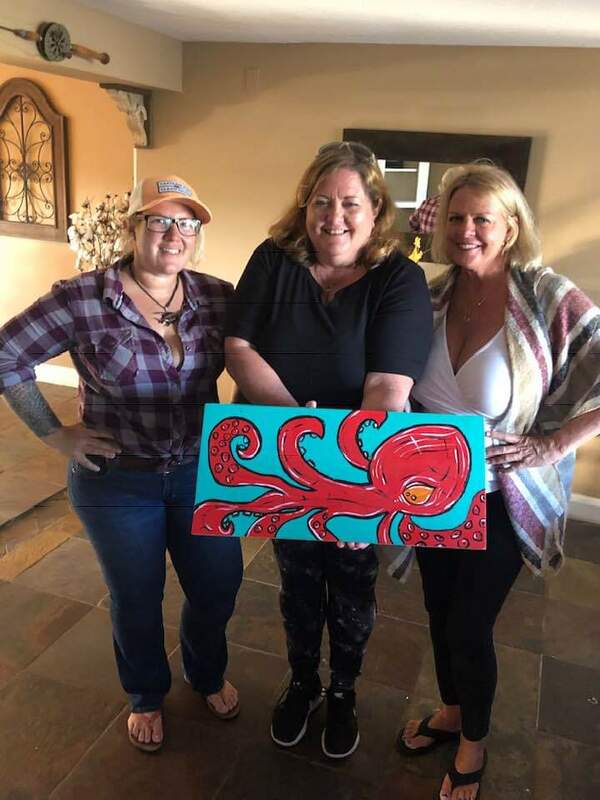 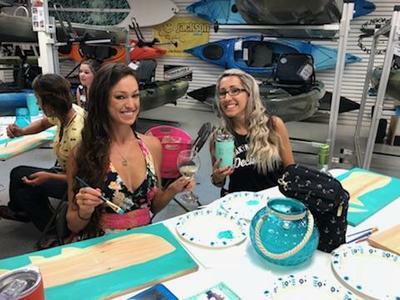 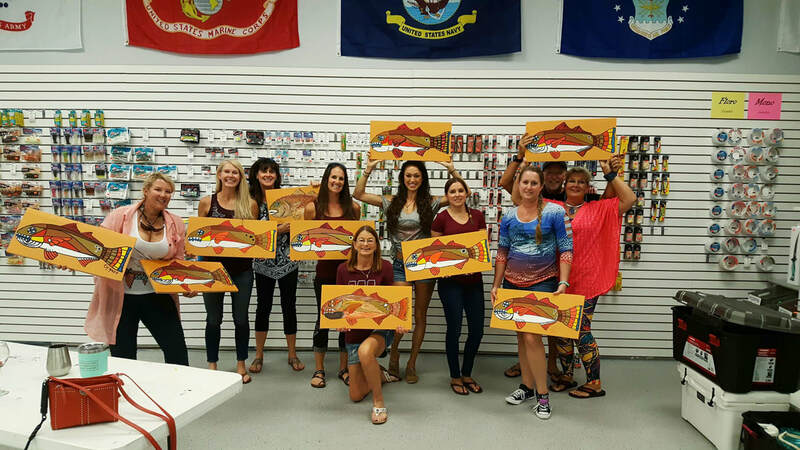 Painting, Wine, & Fish Stories private event. 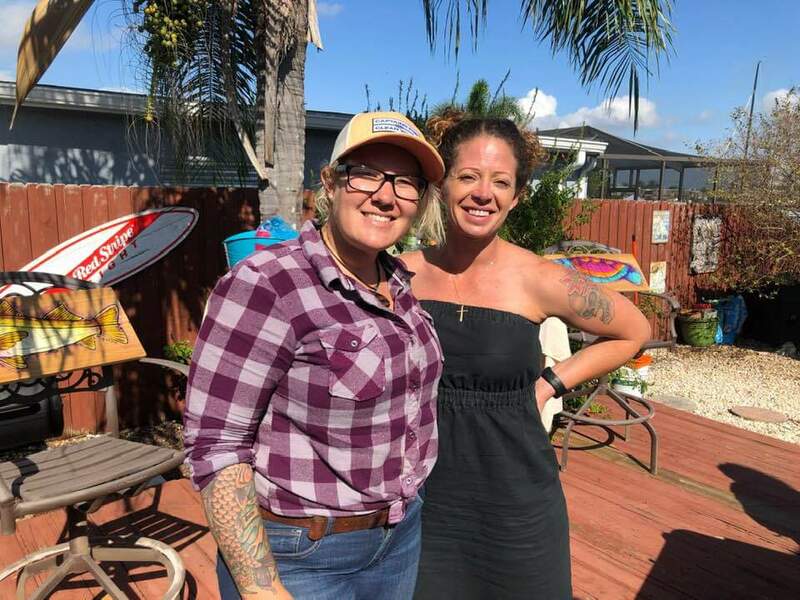 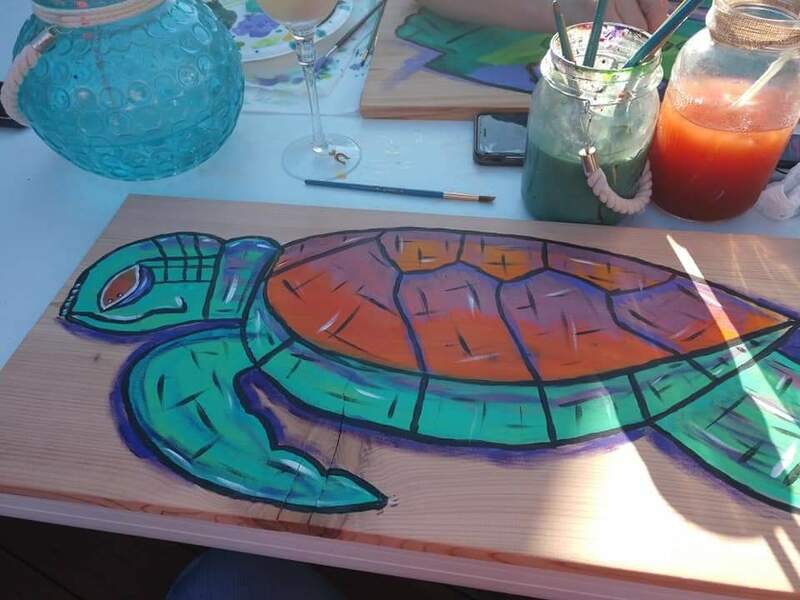 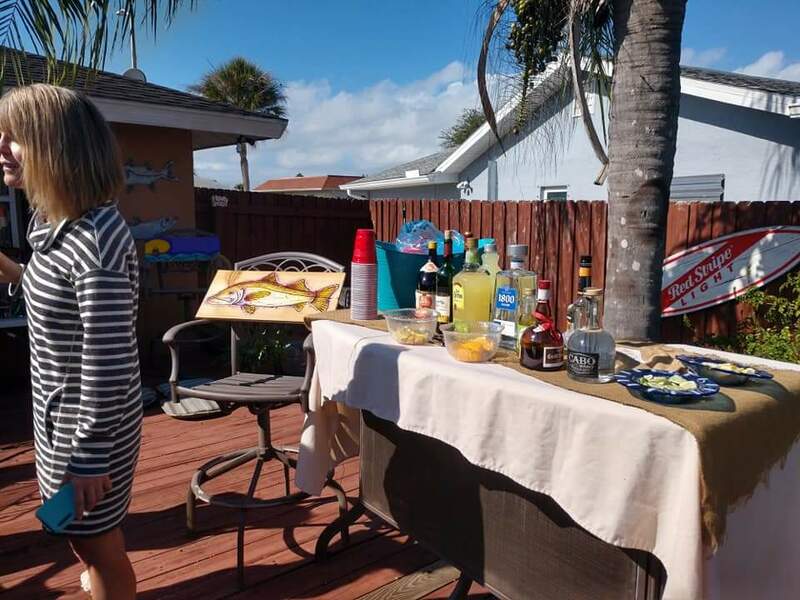 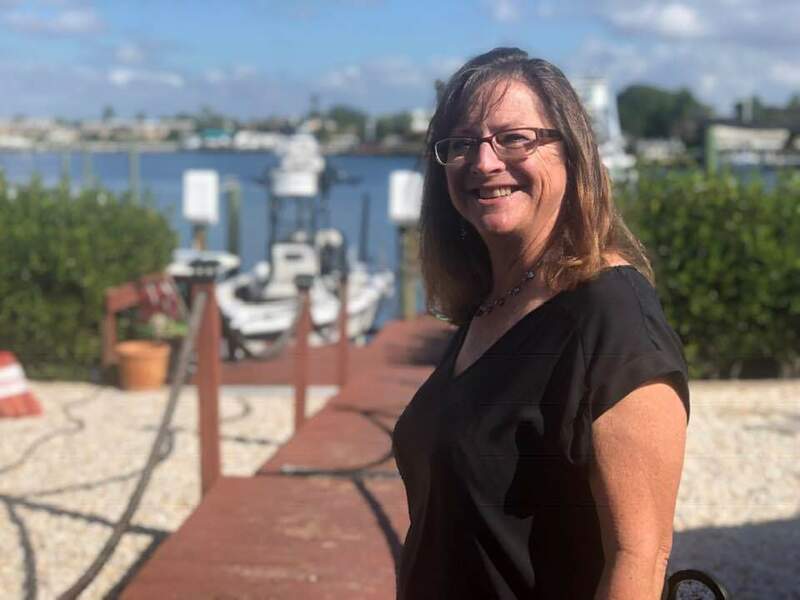 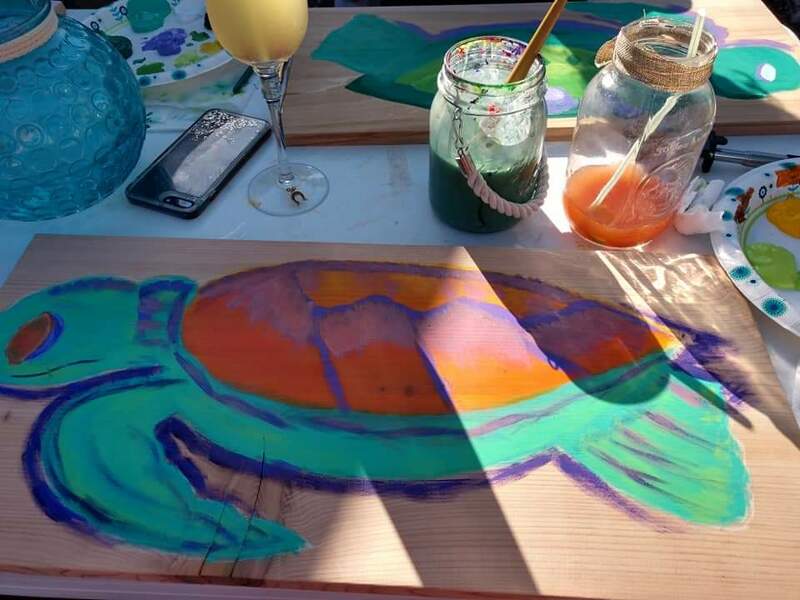 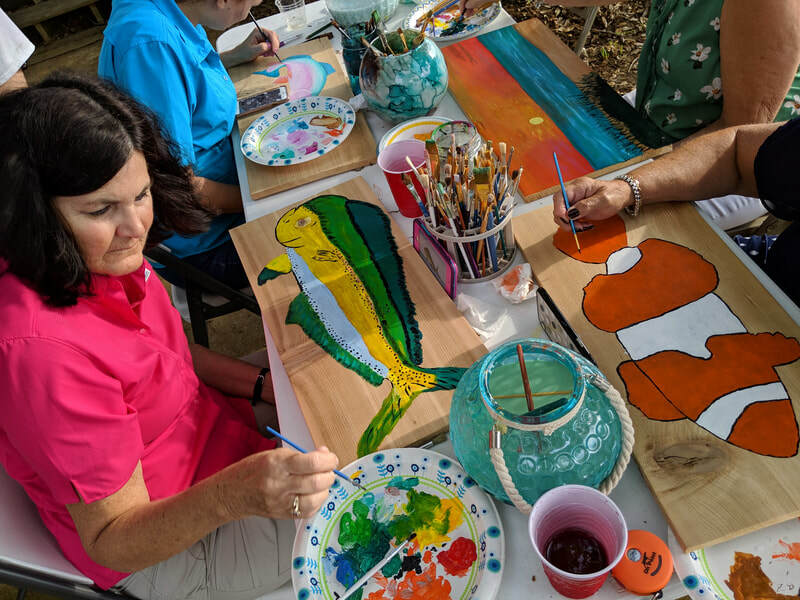 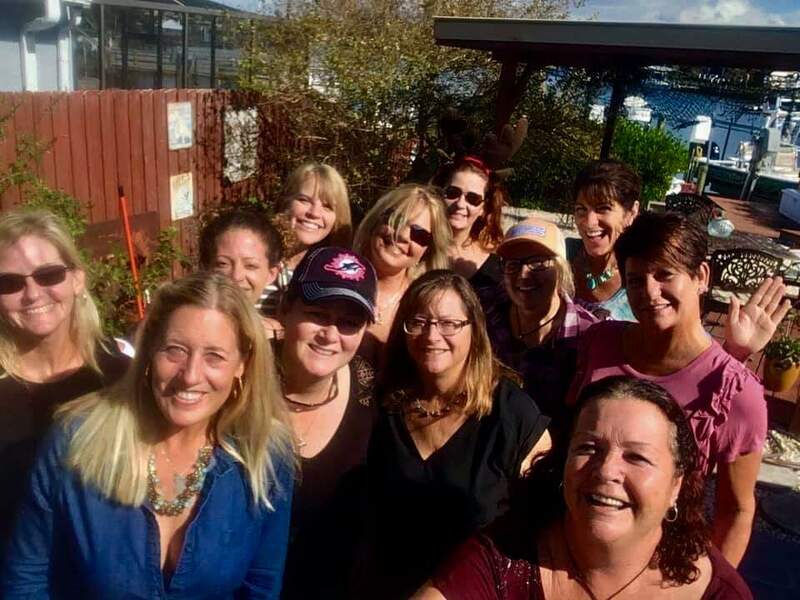 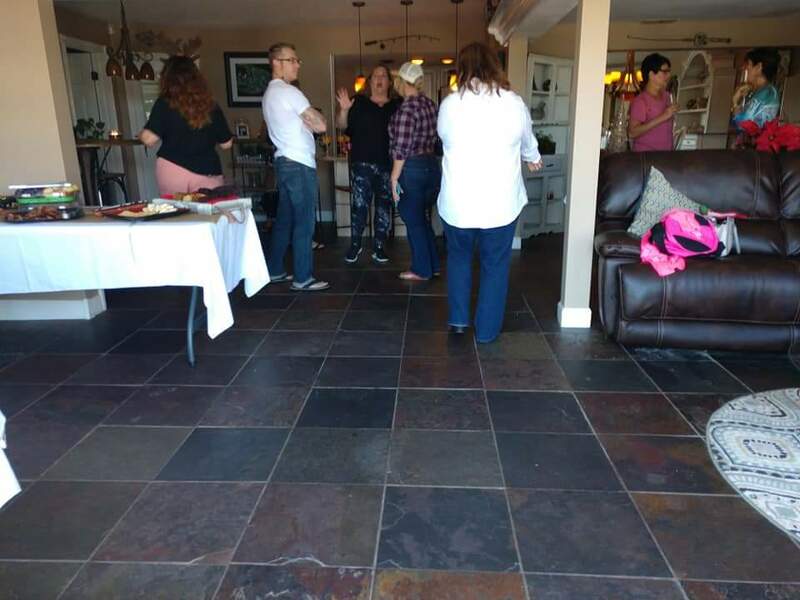 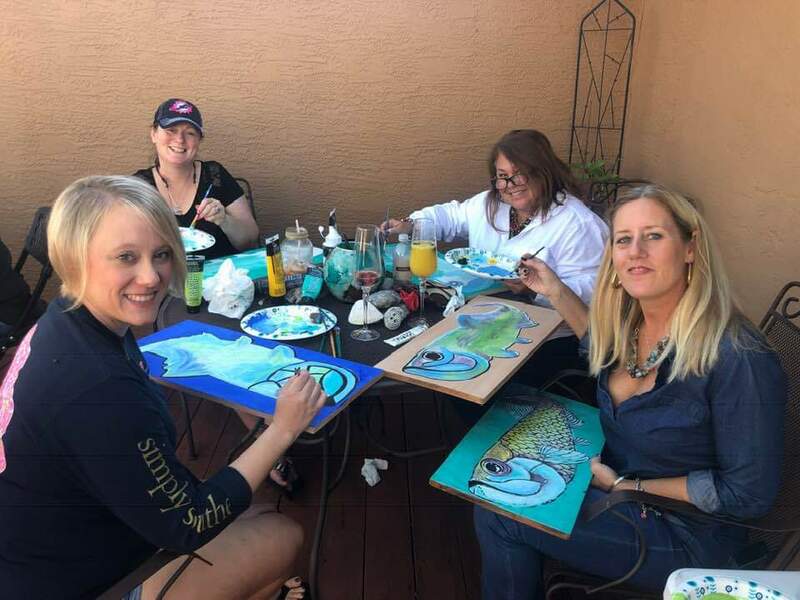 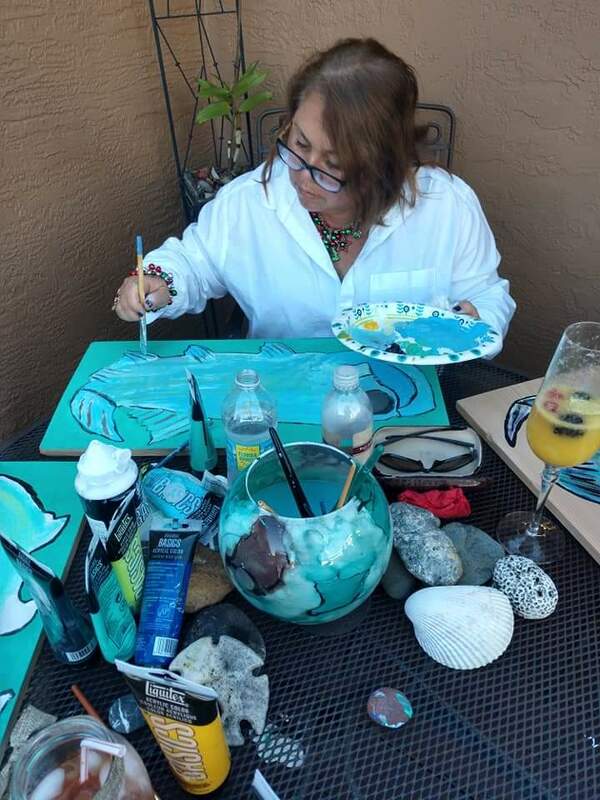 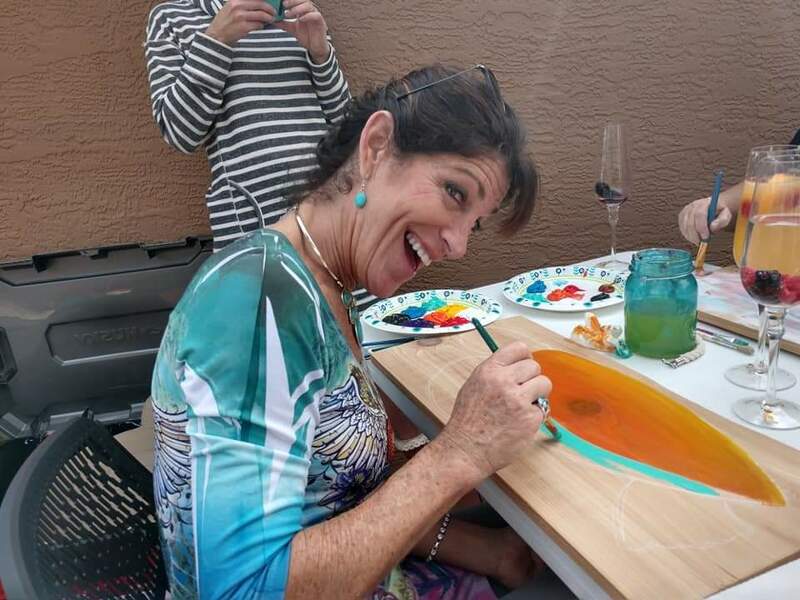 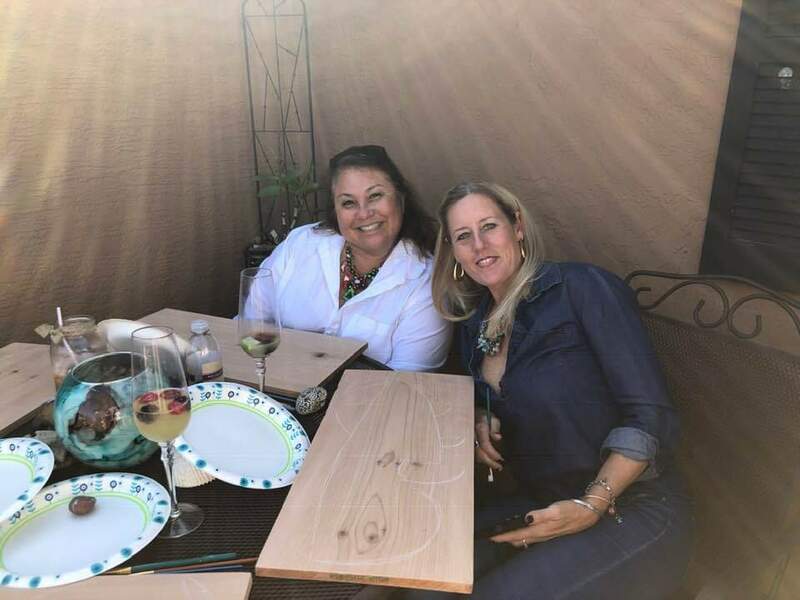 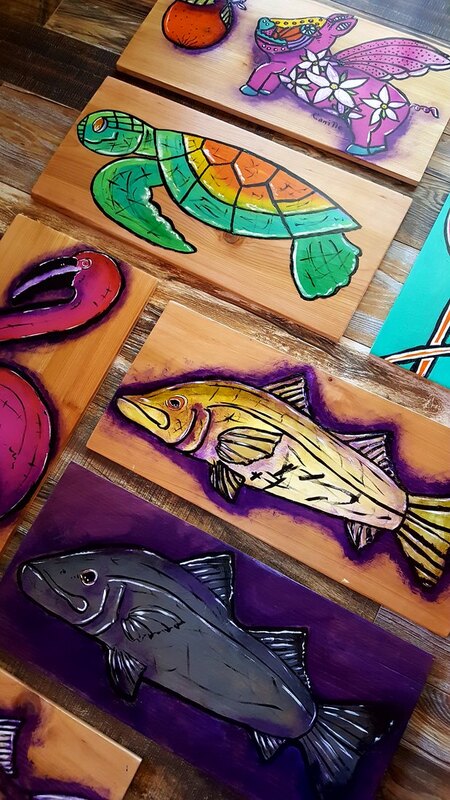 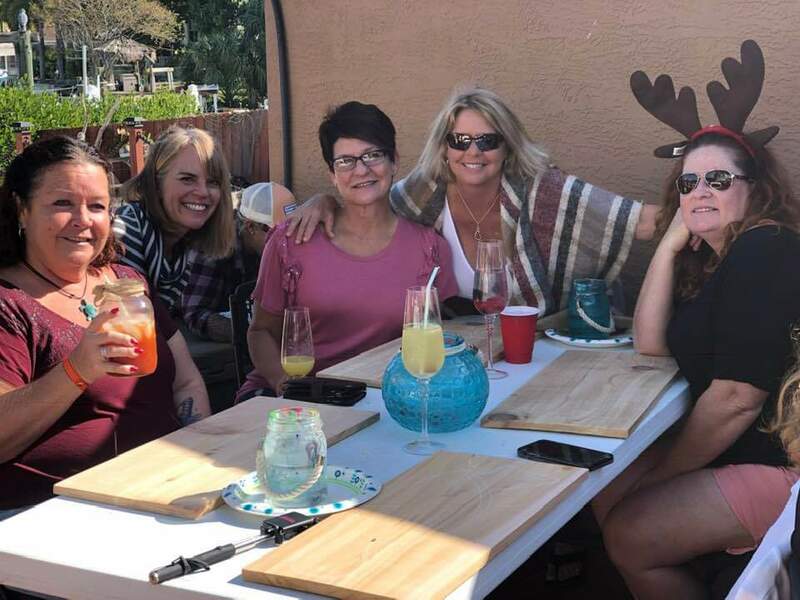 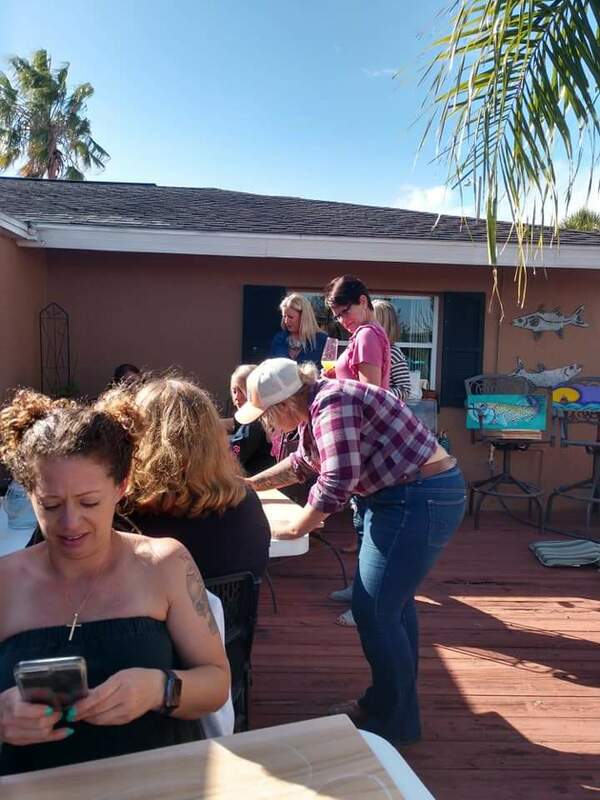 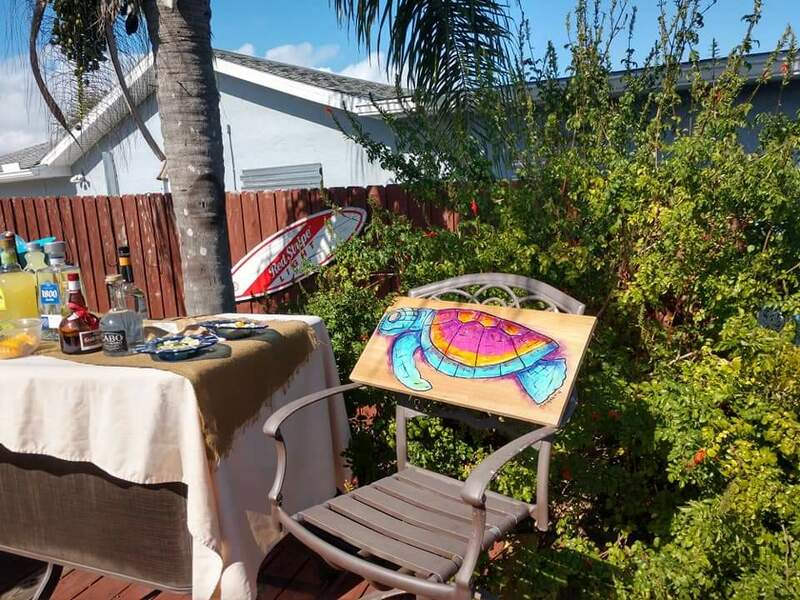 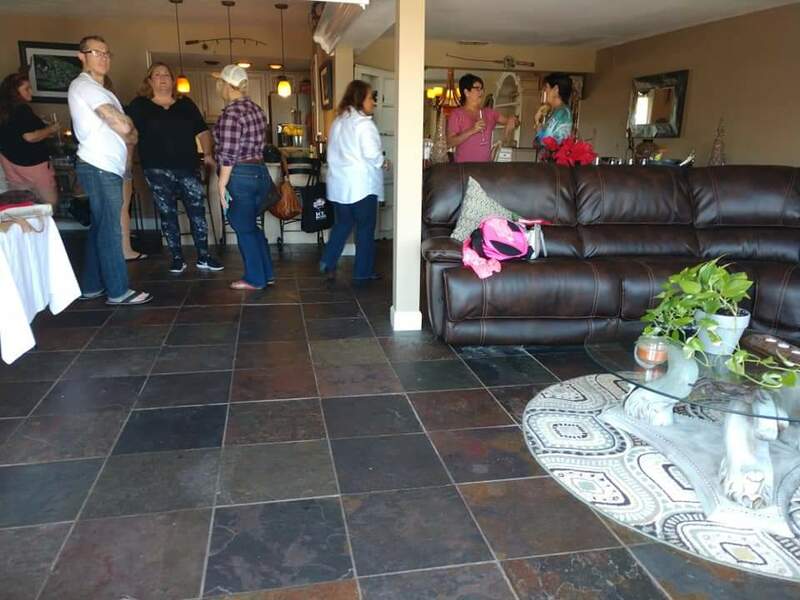 Painting, Wine, & Fish Stories private brunch event. 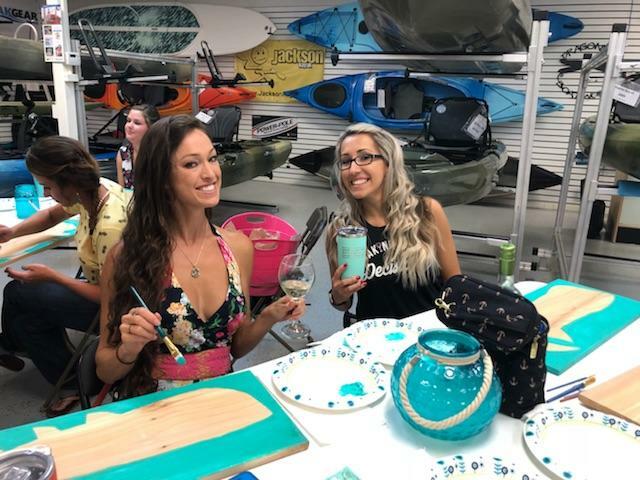 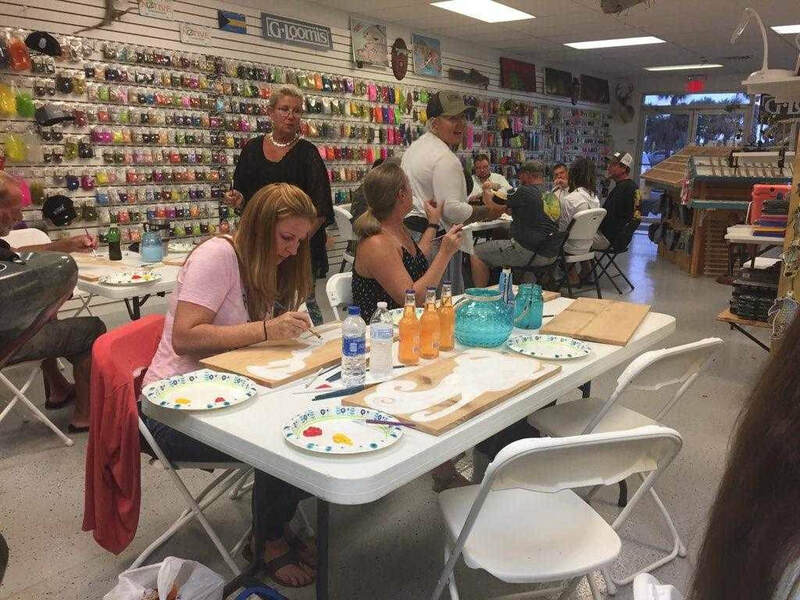 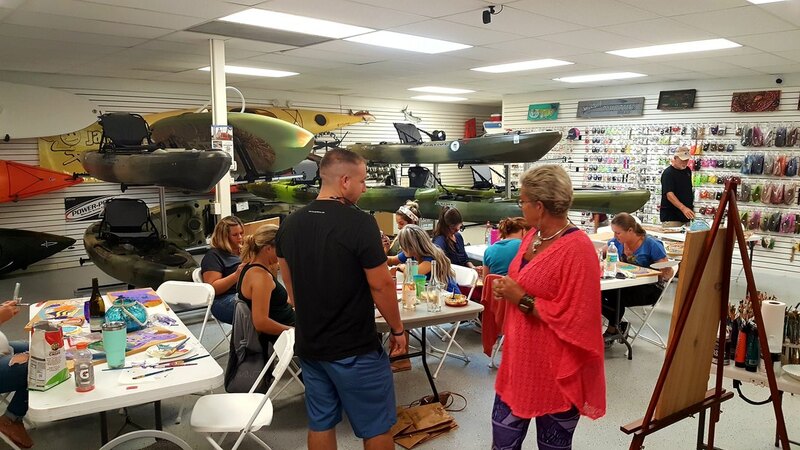 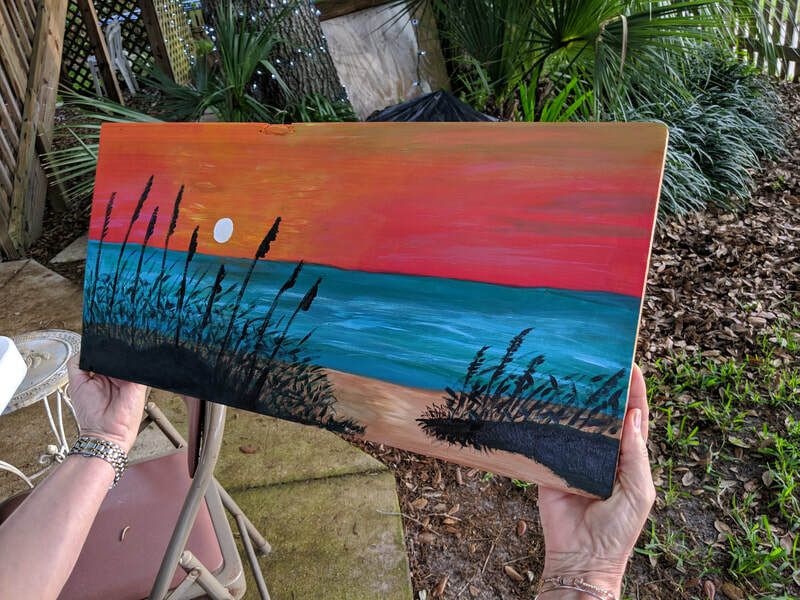 Painting, Wine, & Fish Stories private paint event. Painting, Pints, & Piggies night @ Soggy Bottom Brewery. 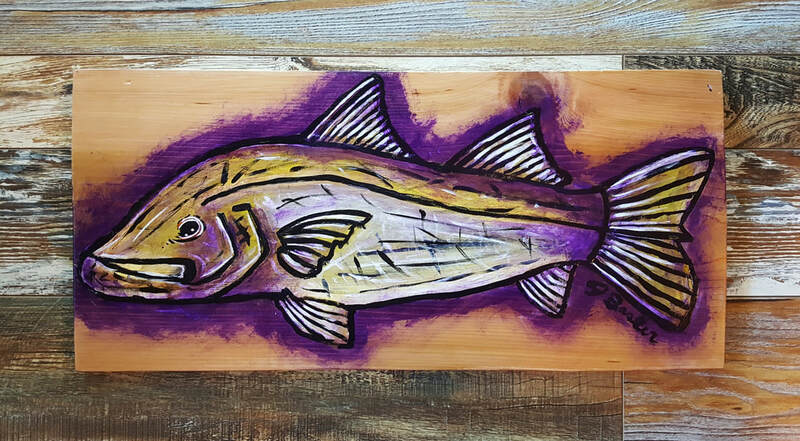 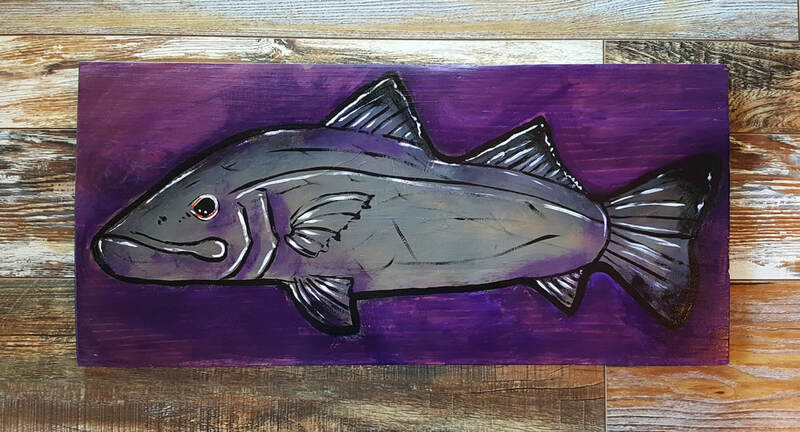 Snook painting from the November 3rd class. 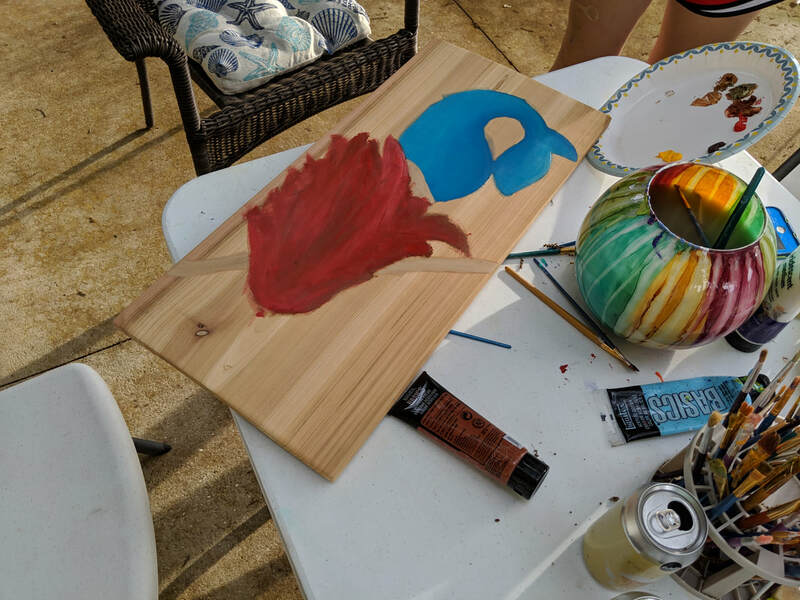 This will be part 2 of a 3part Fall inspired painting series. 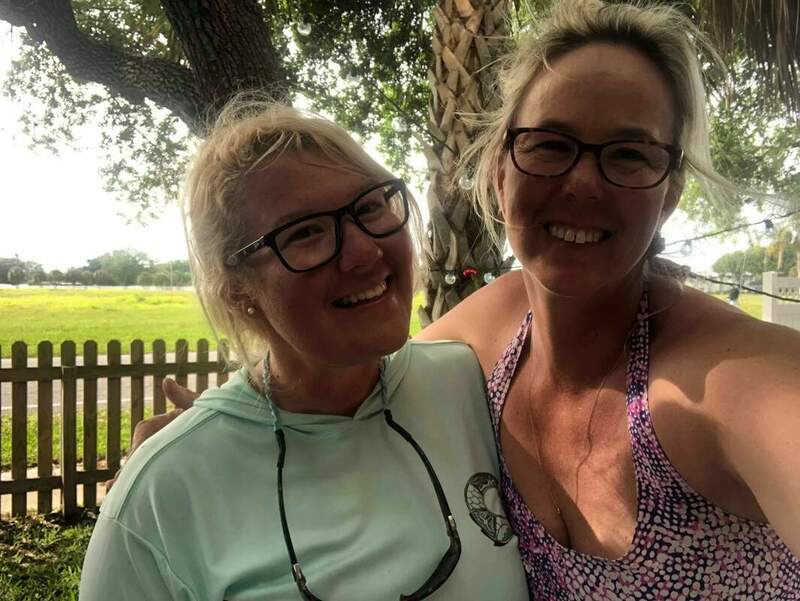 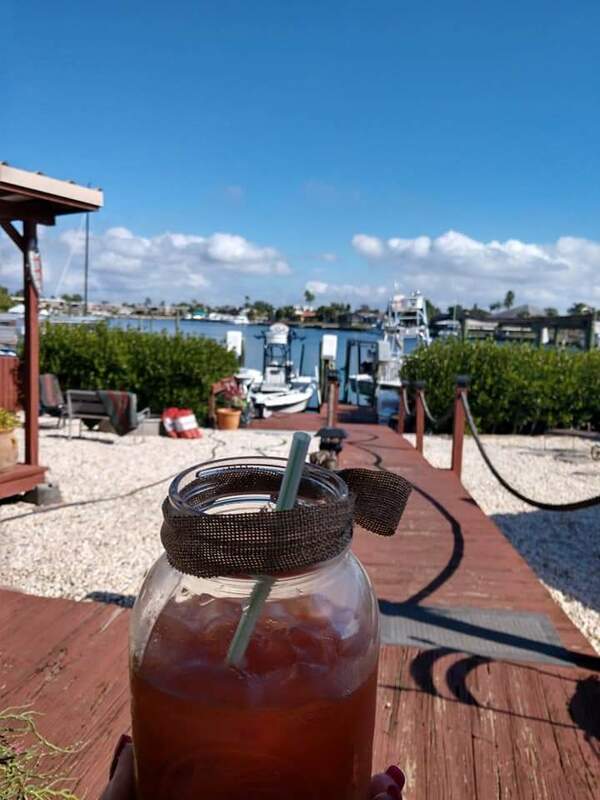 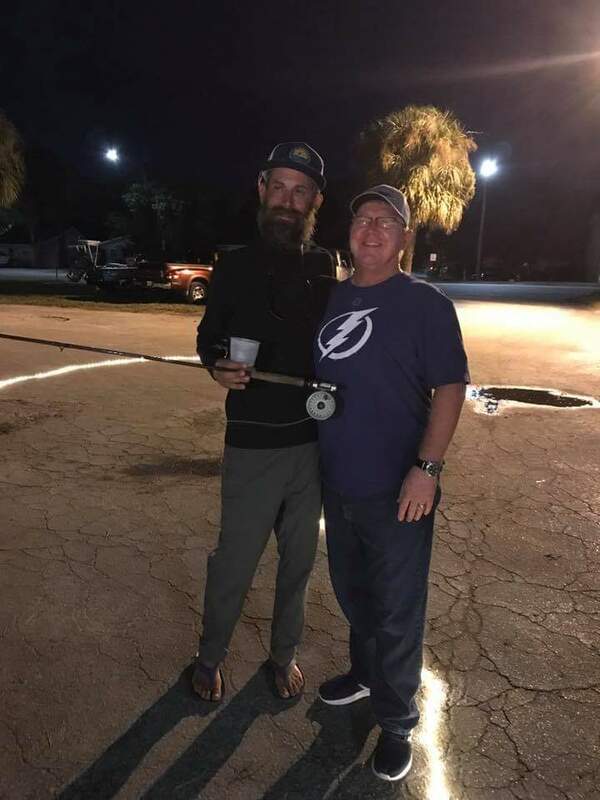 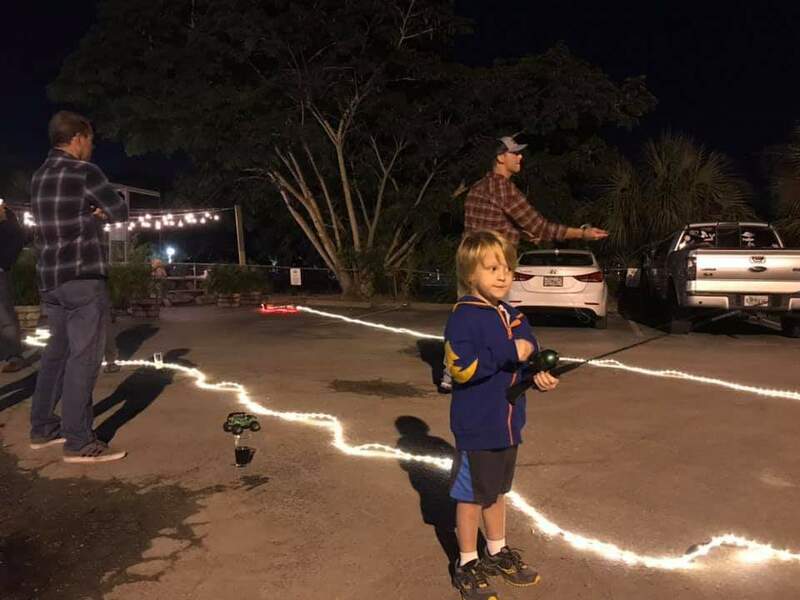 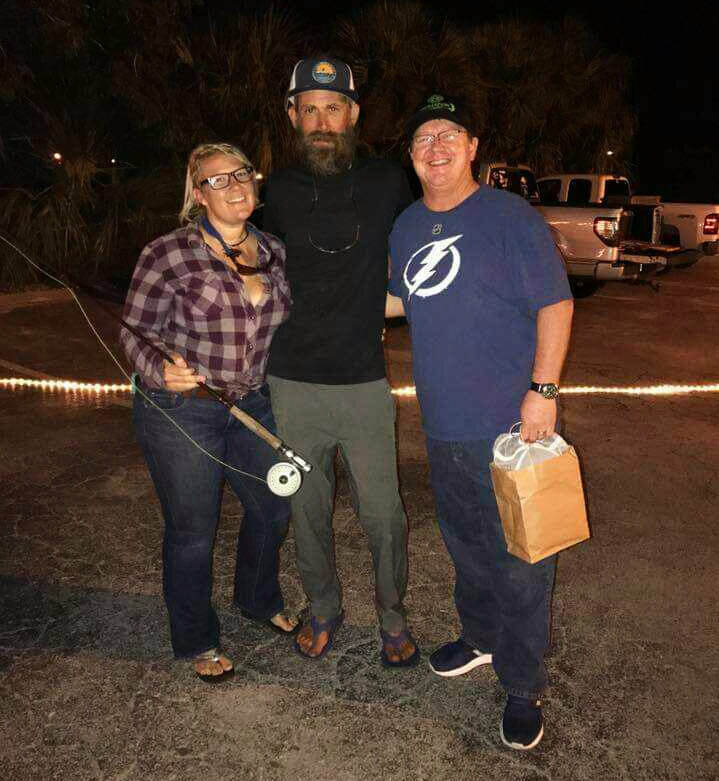 Bringing in Fall with an inshore slam. 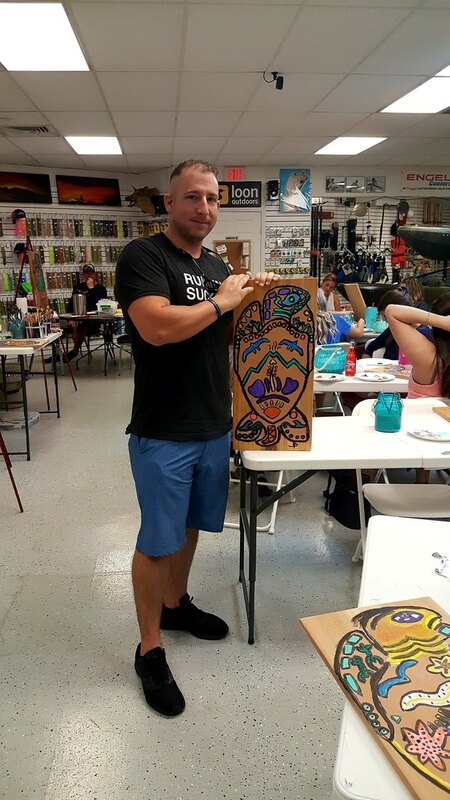 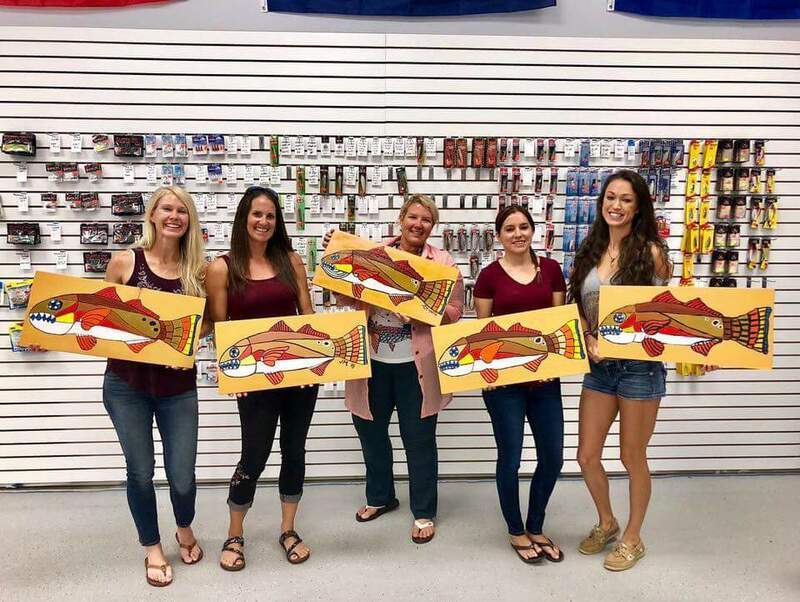 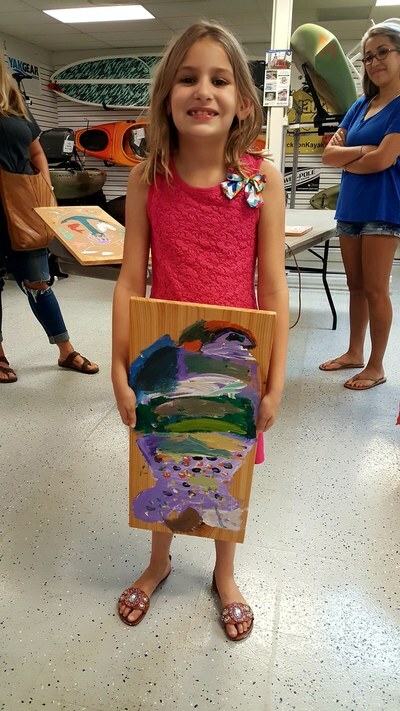 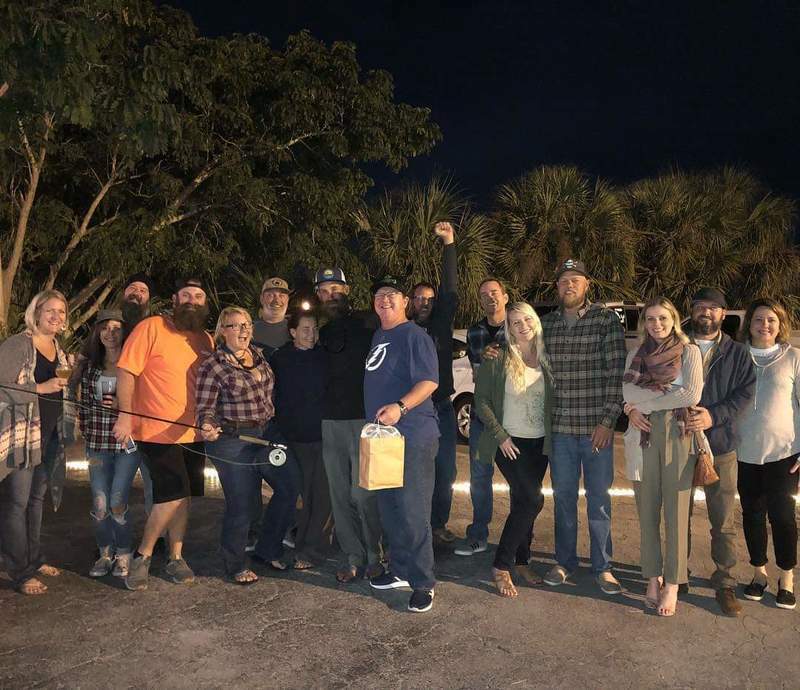 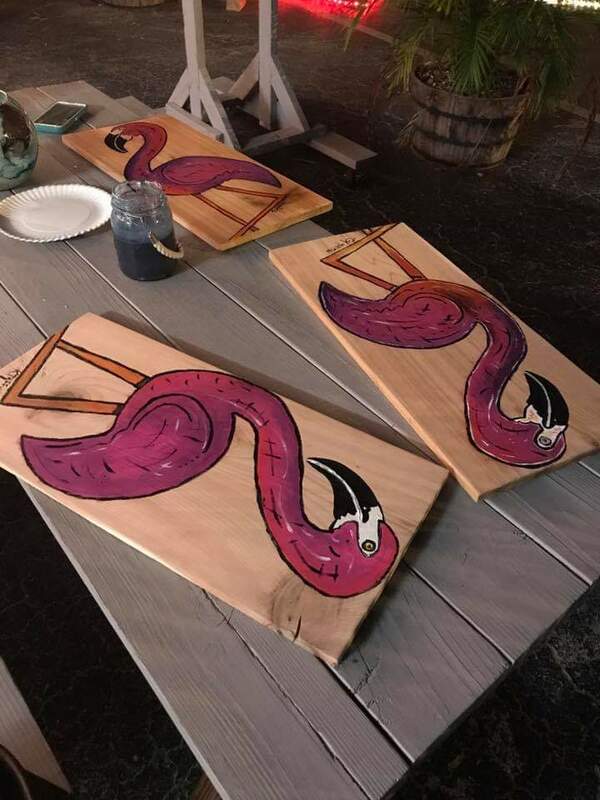 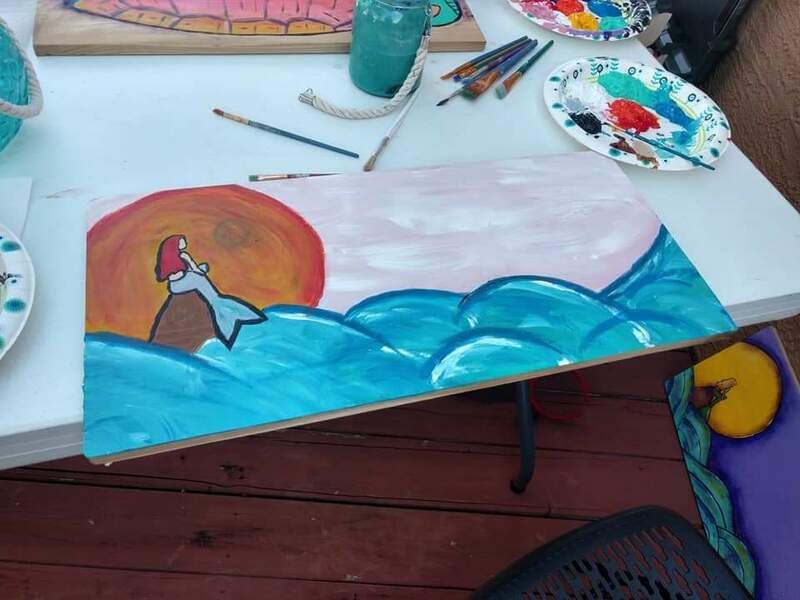 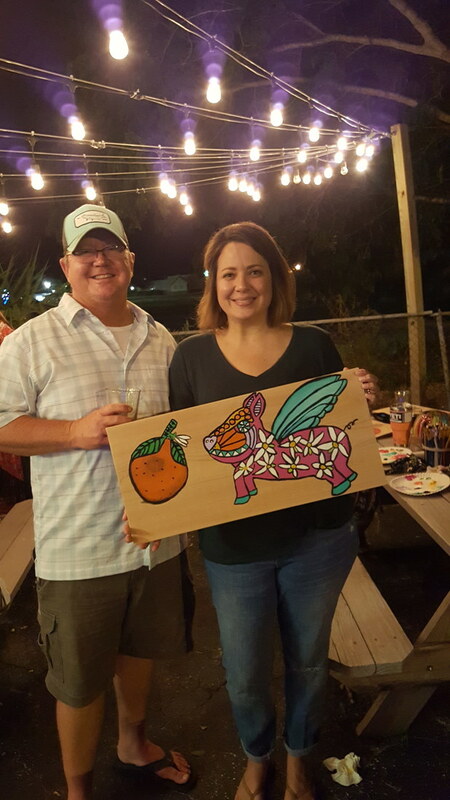 First ever Painting, Pints, & Piggies night @ Soggy Bottom Brewery. 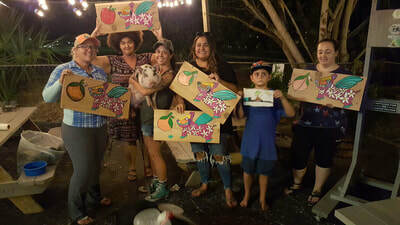 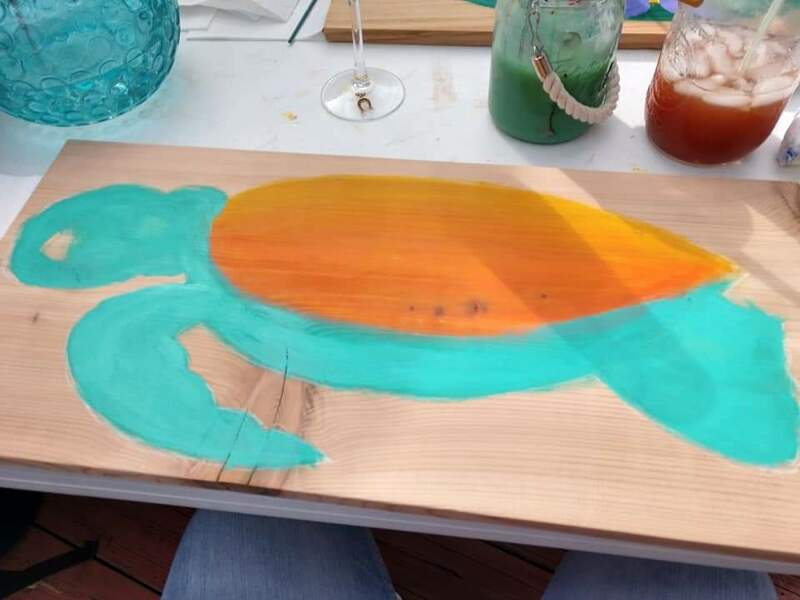 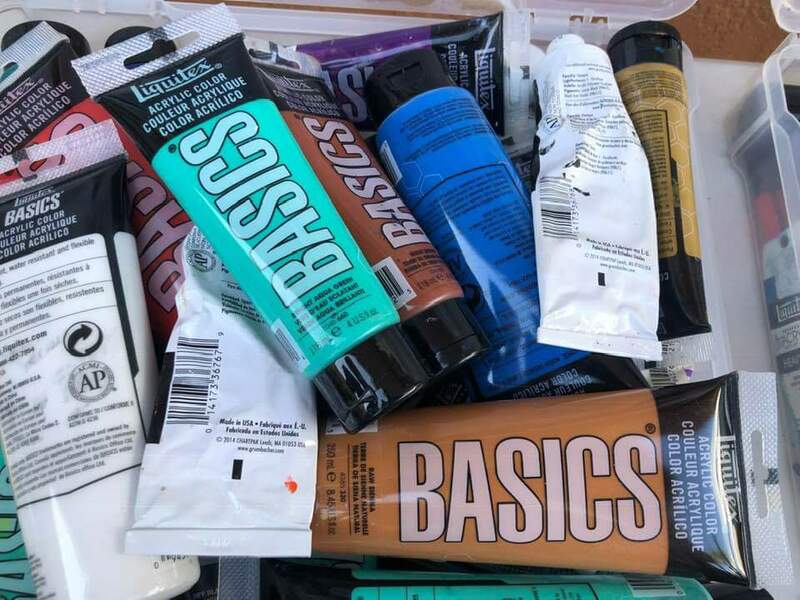 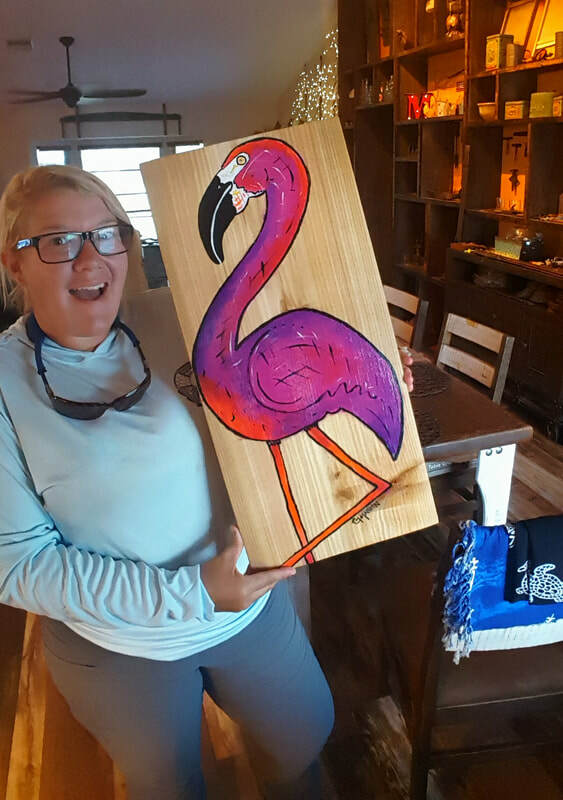 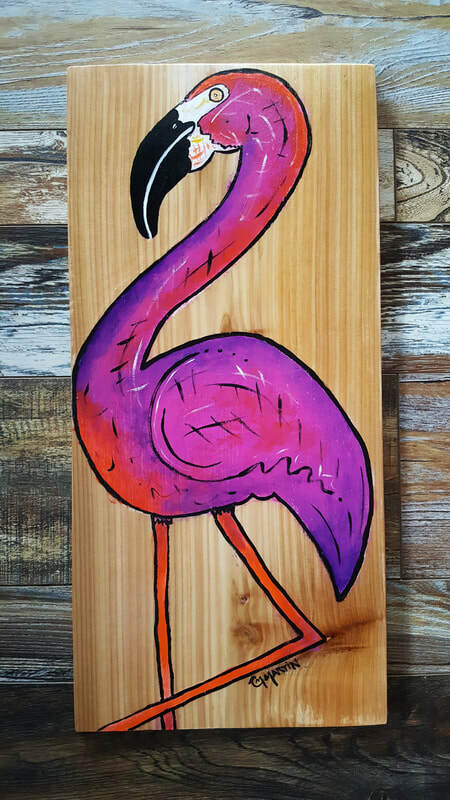 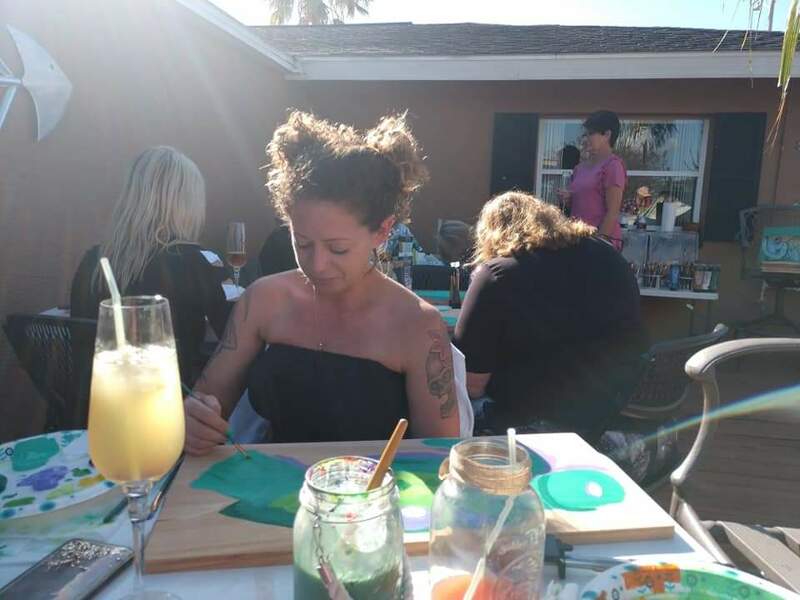 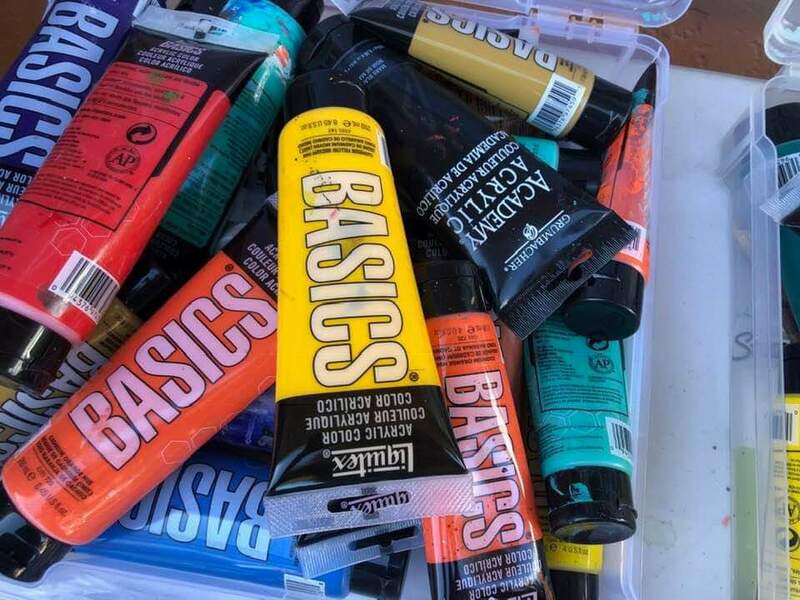 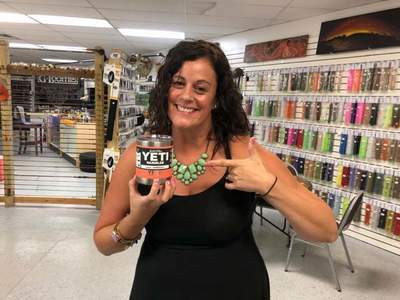 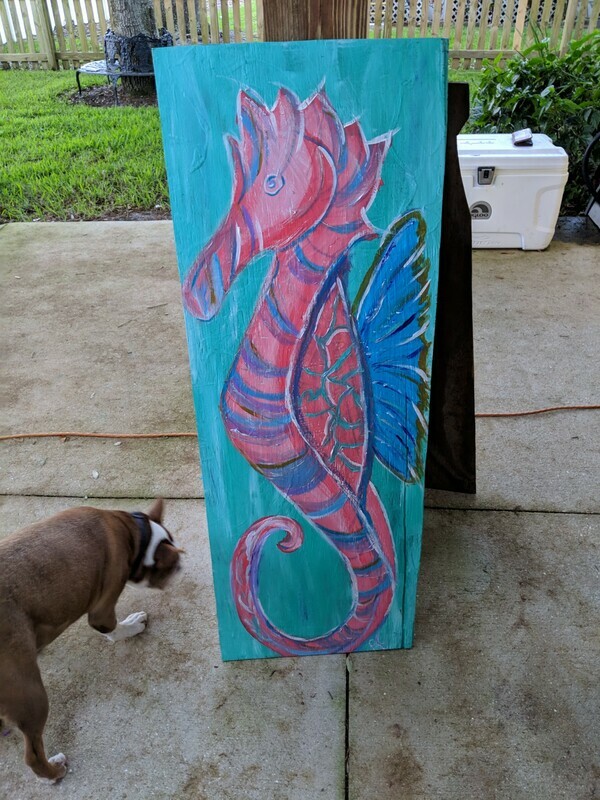 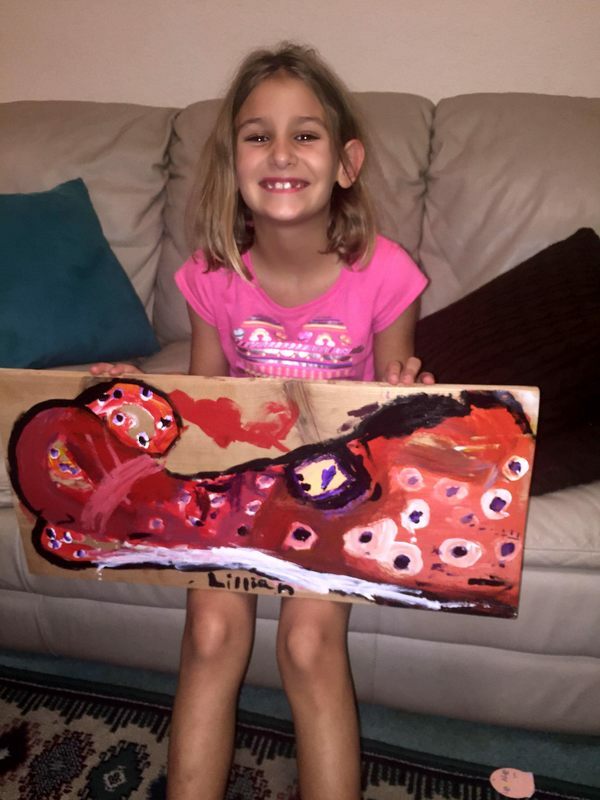 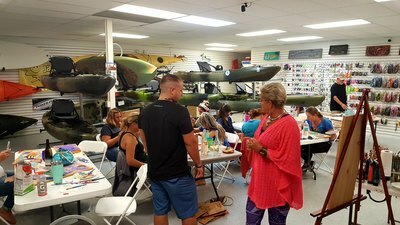 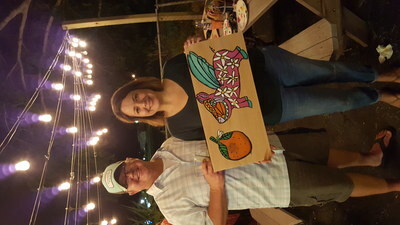 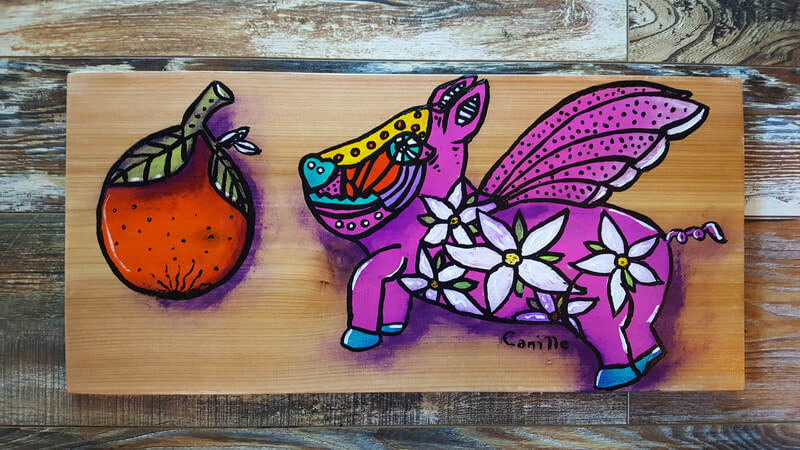 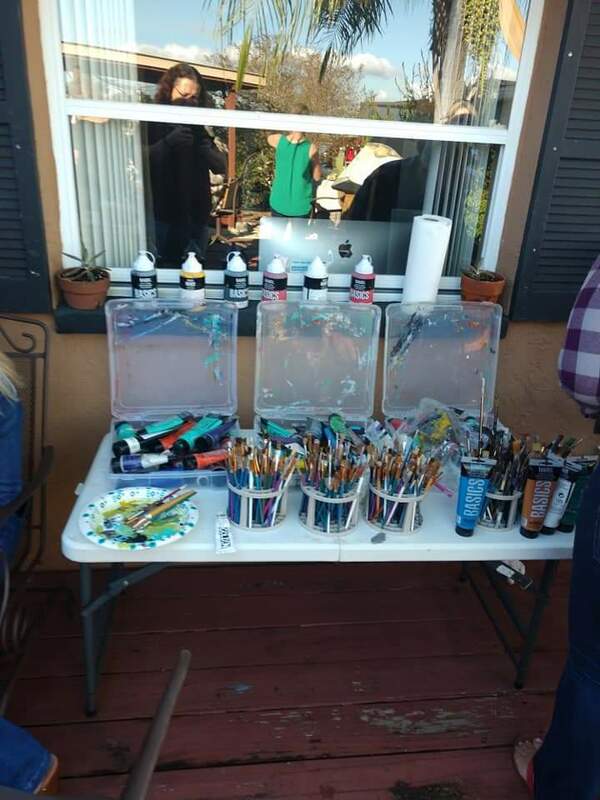 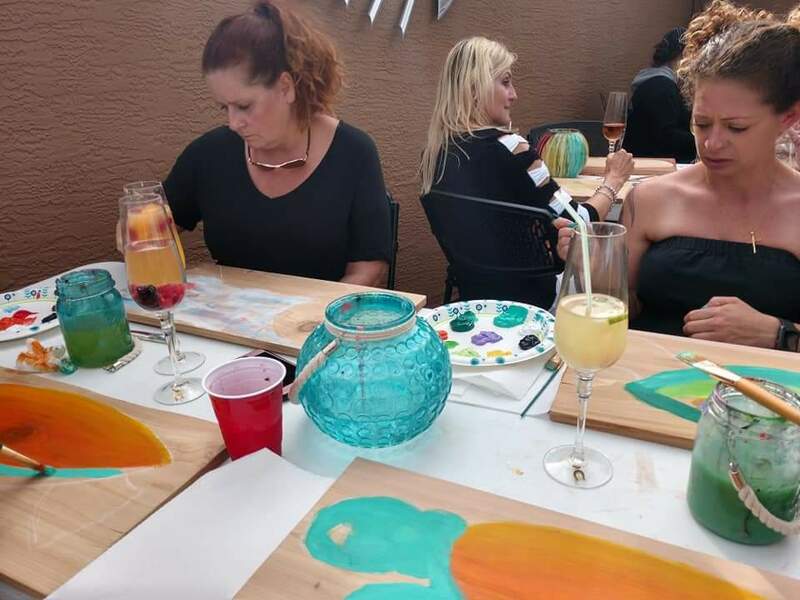 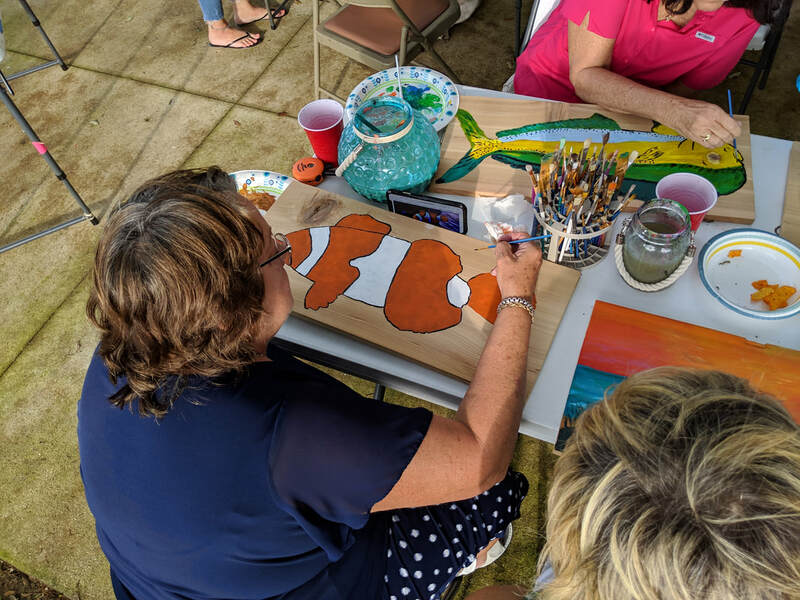 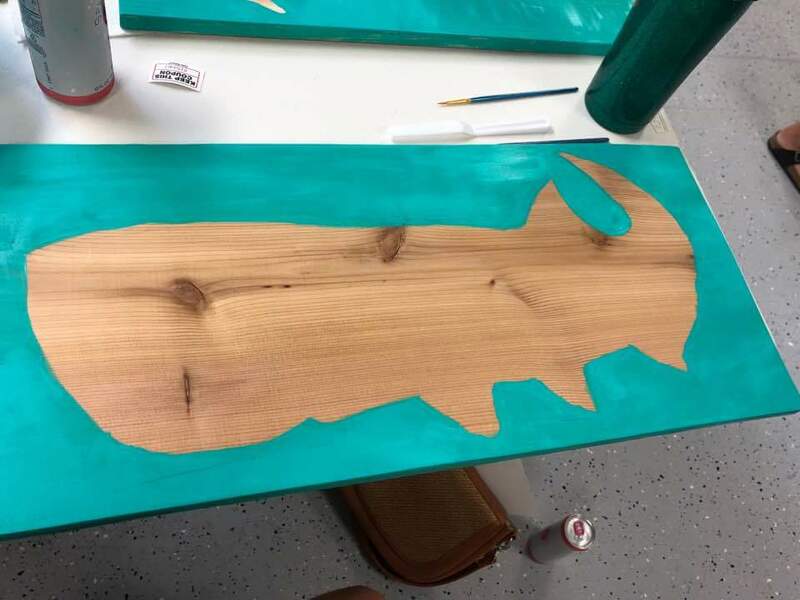 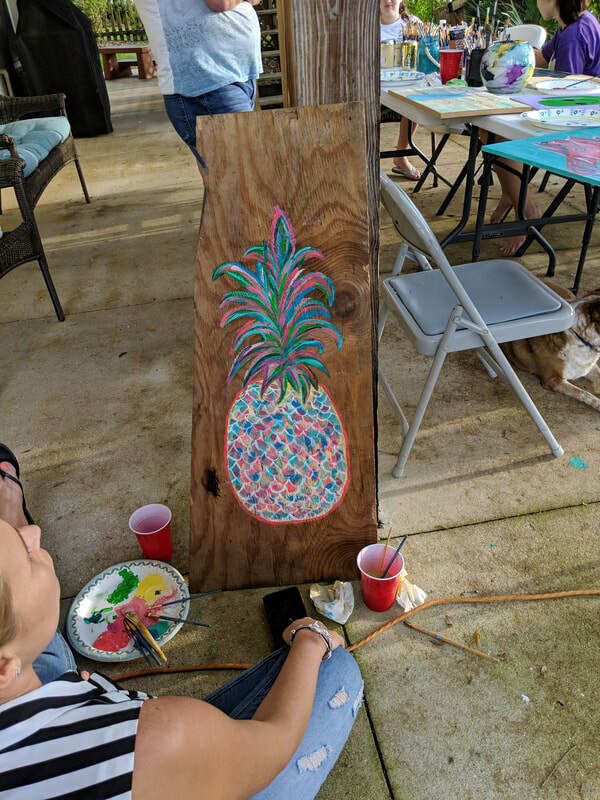 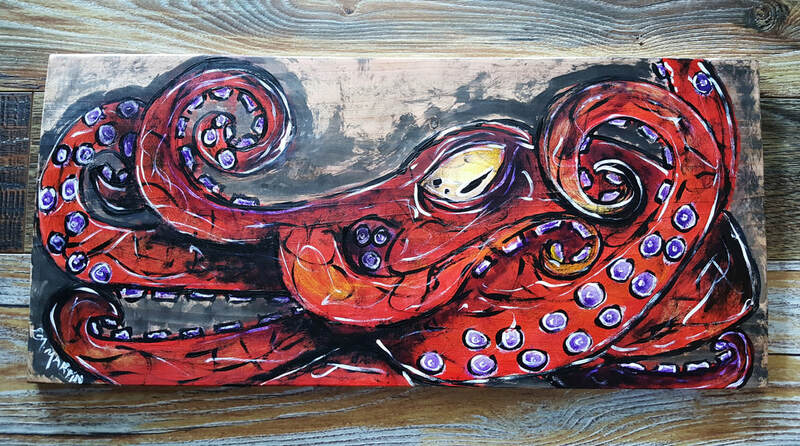 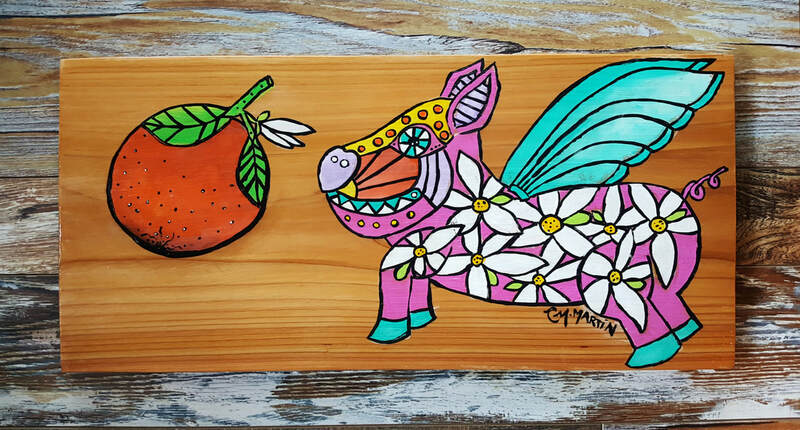 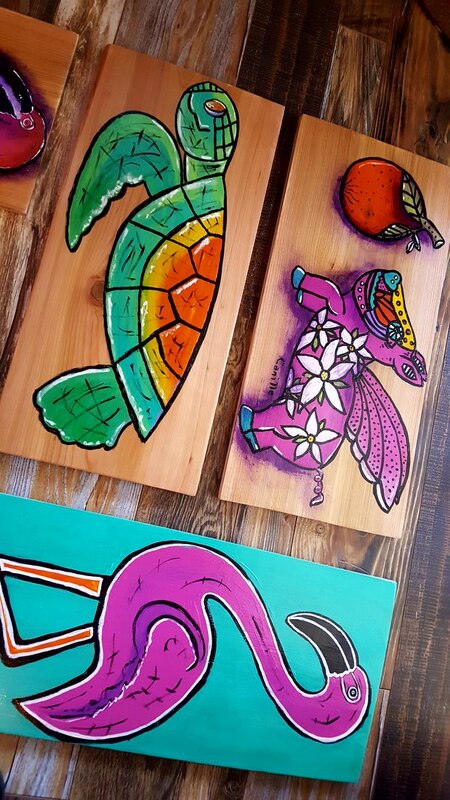 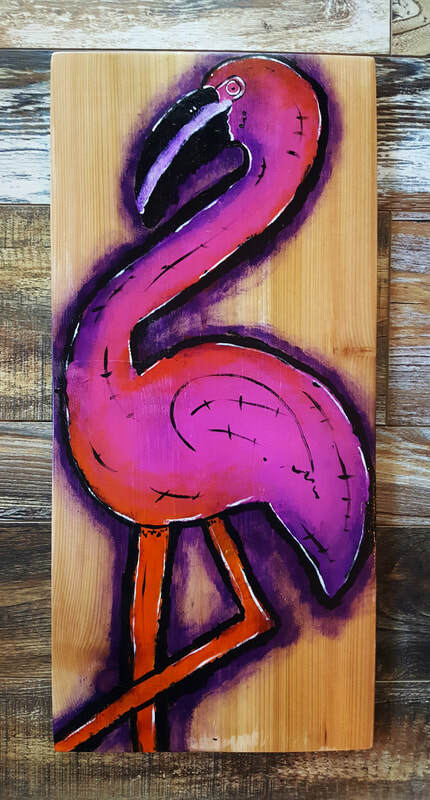 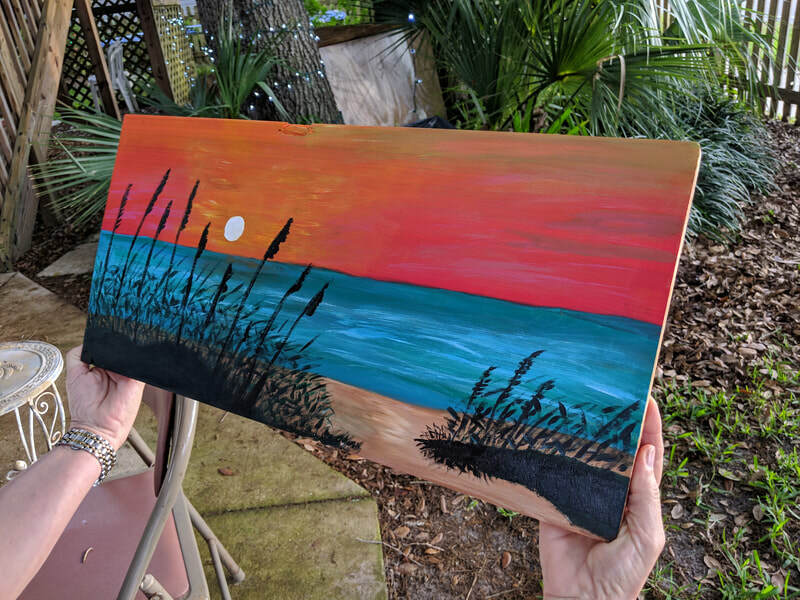 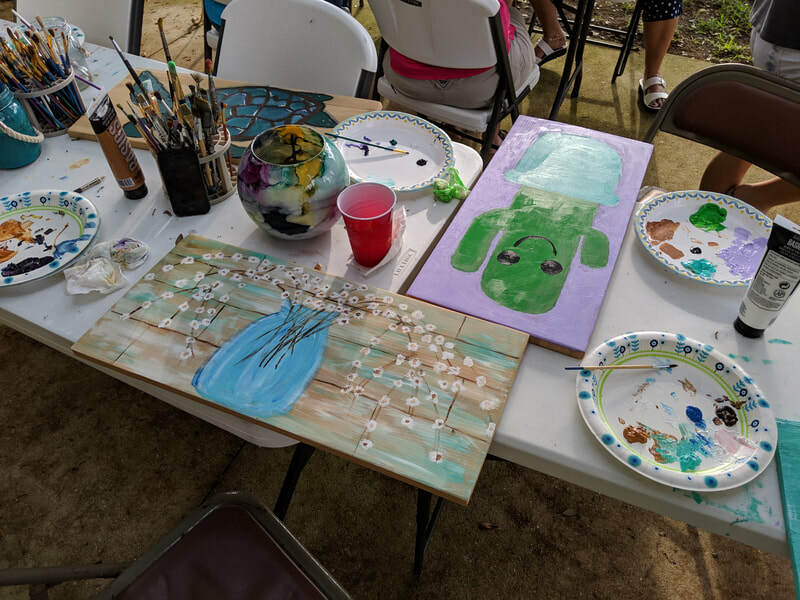 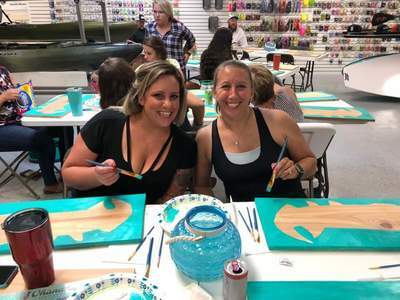 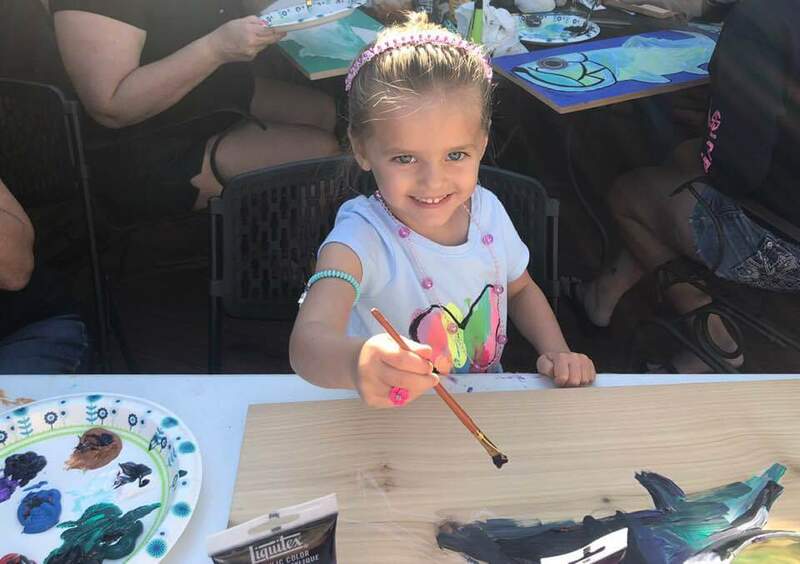 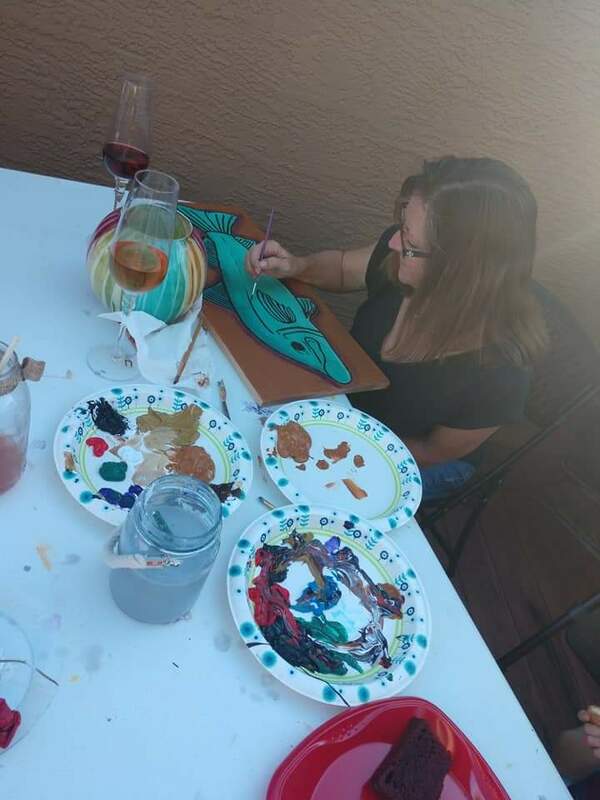 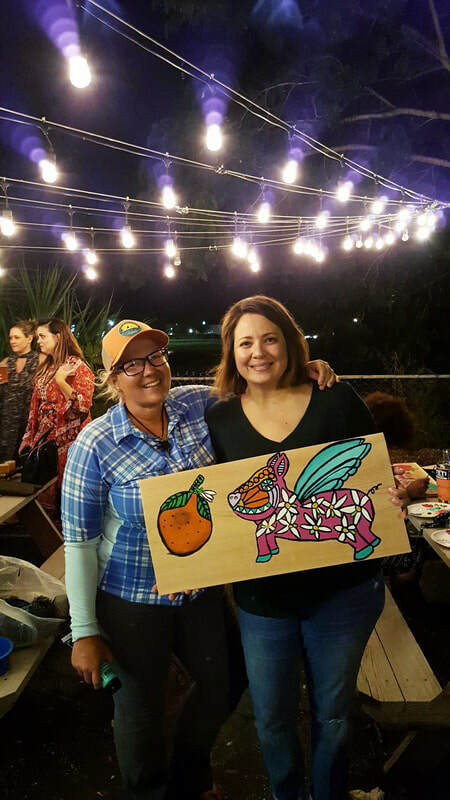 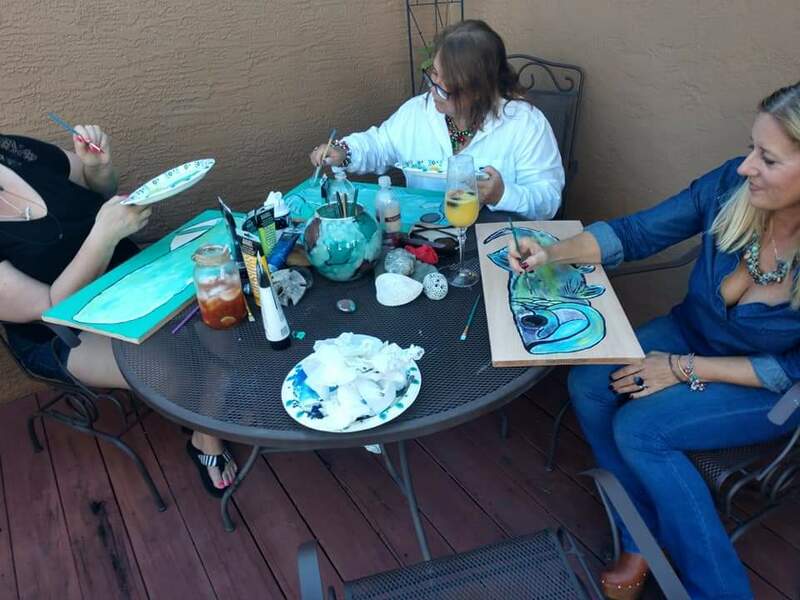 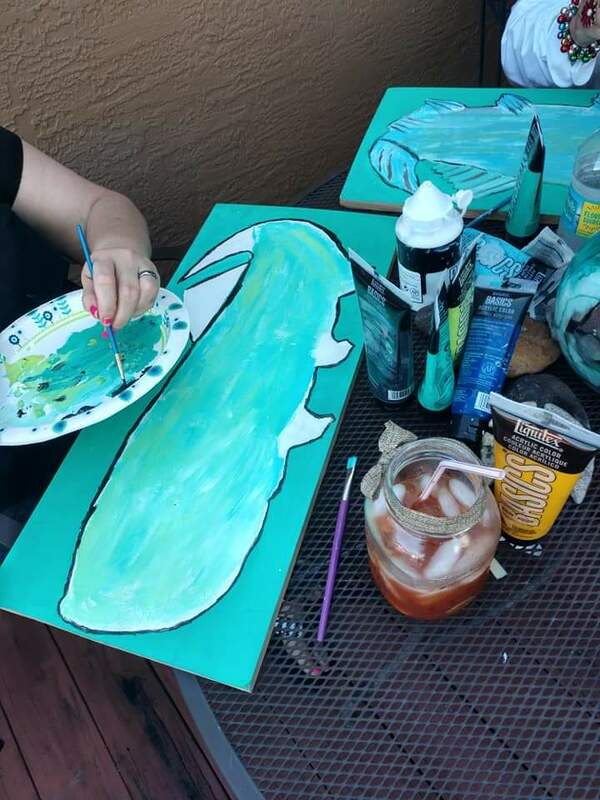 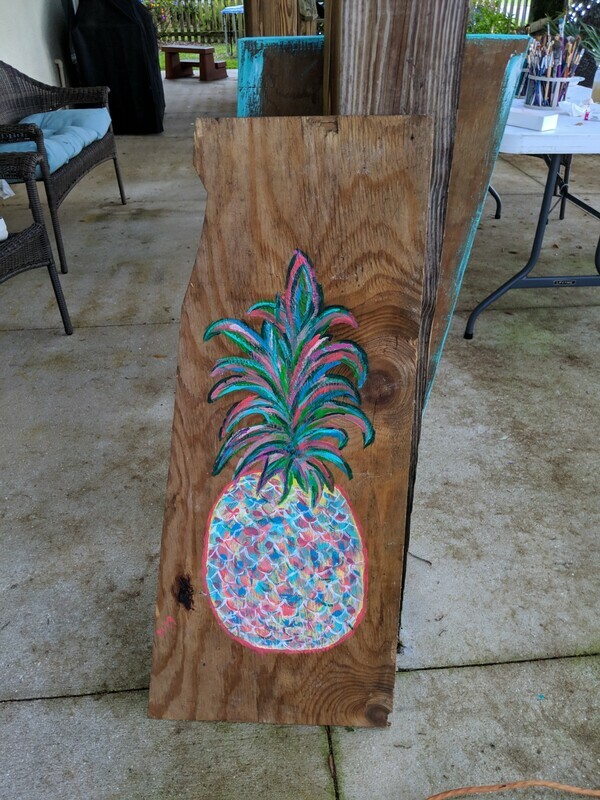 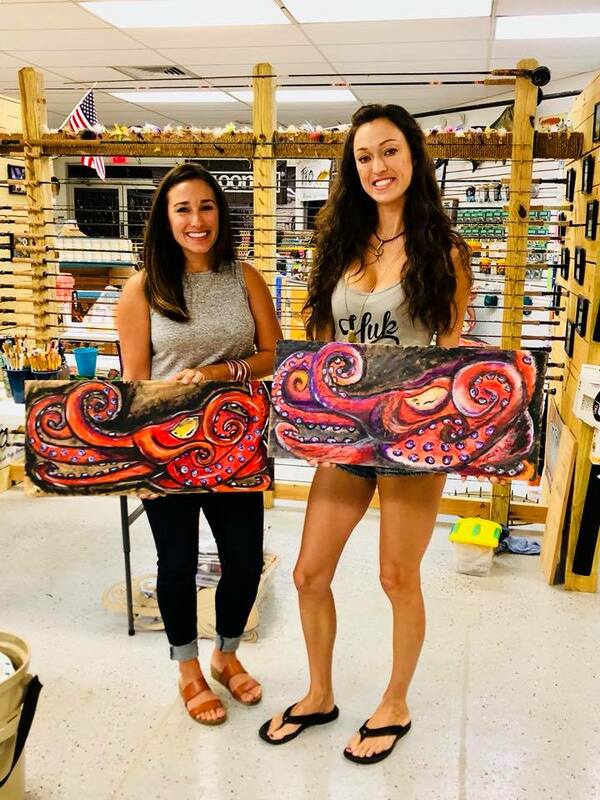 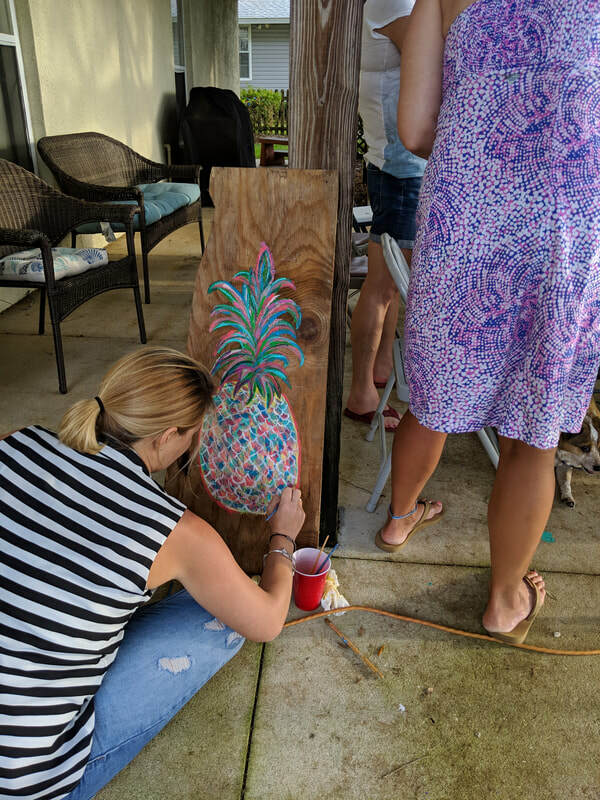 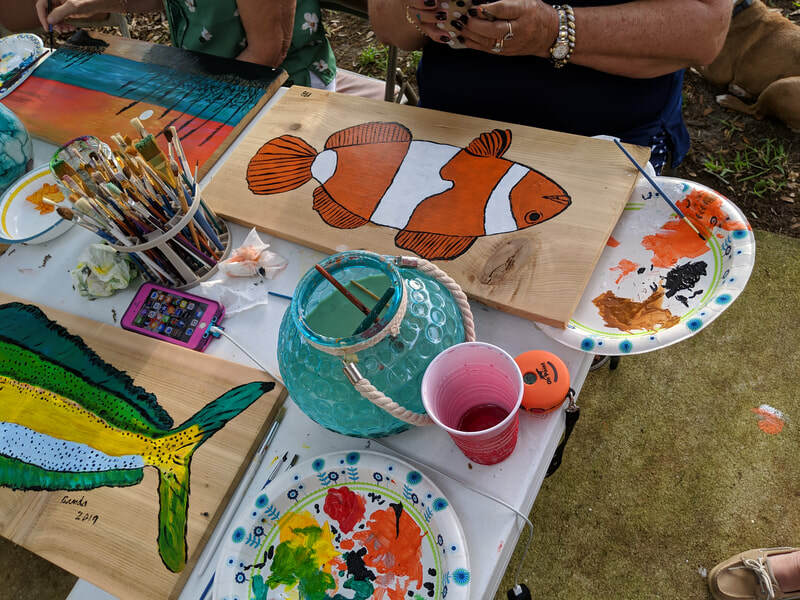 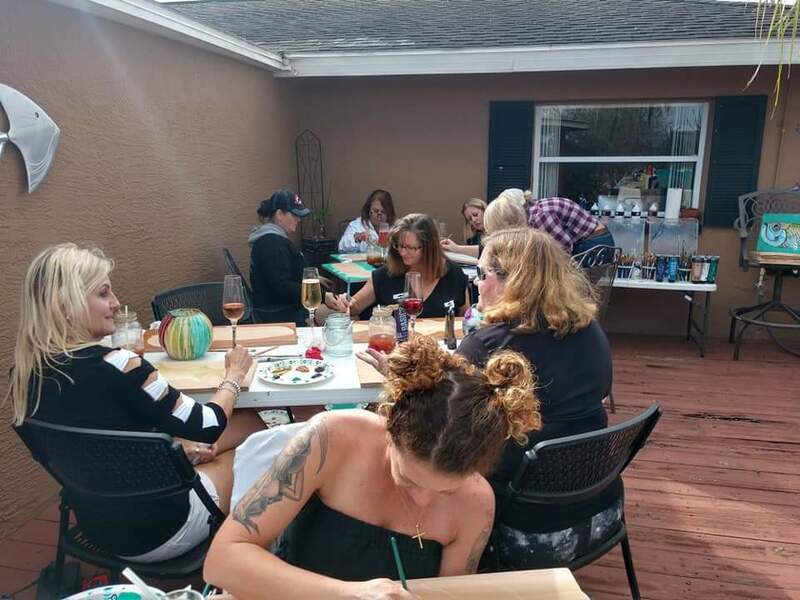 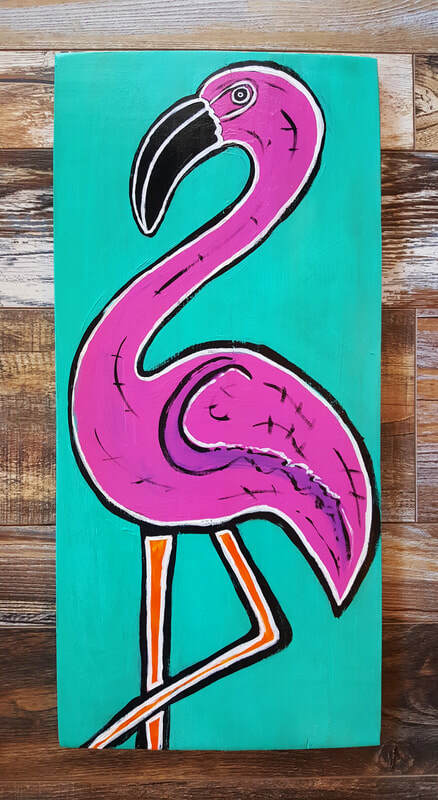 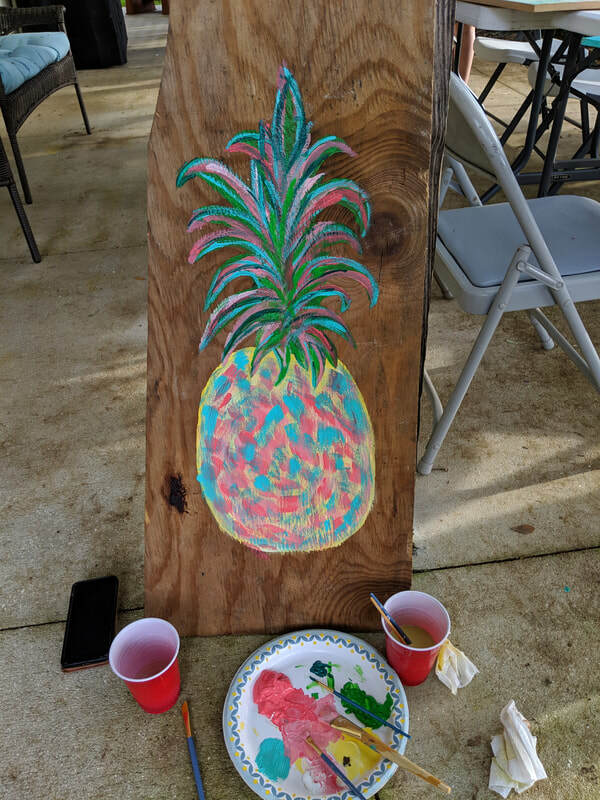 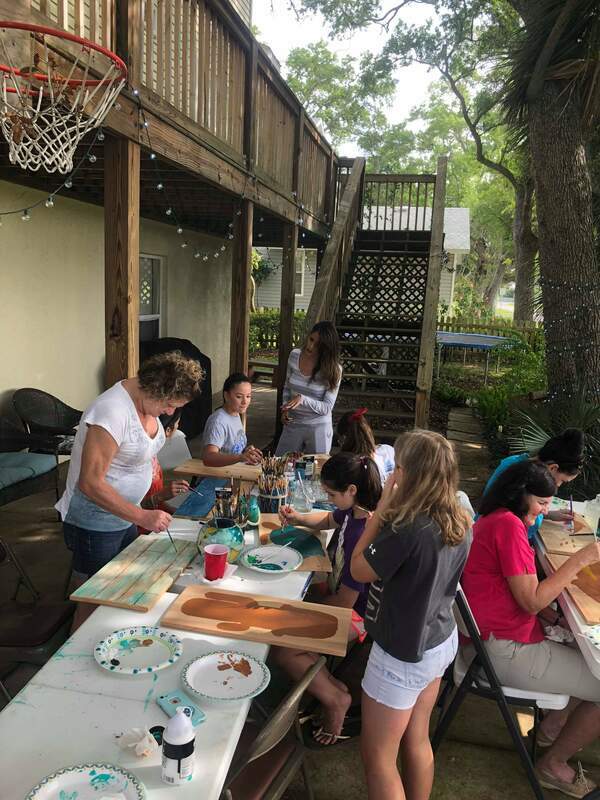 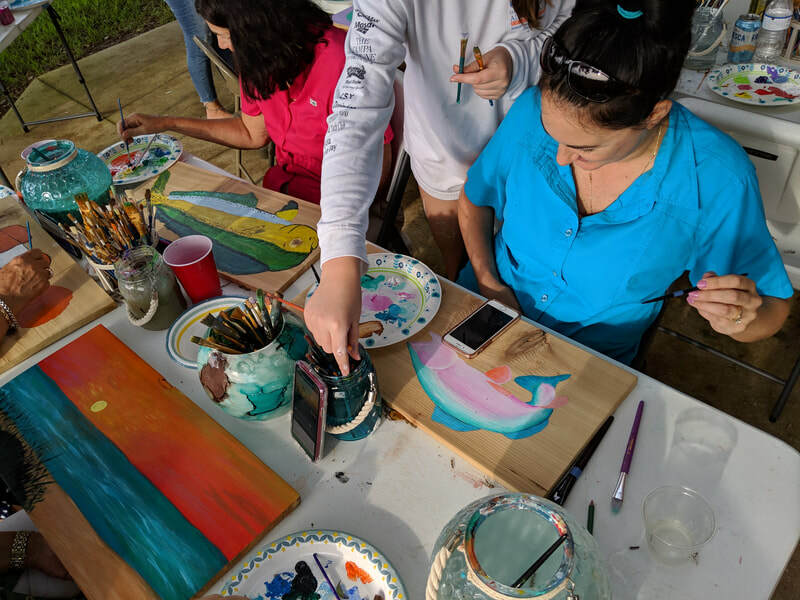 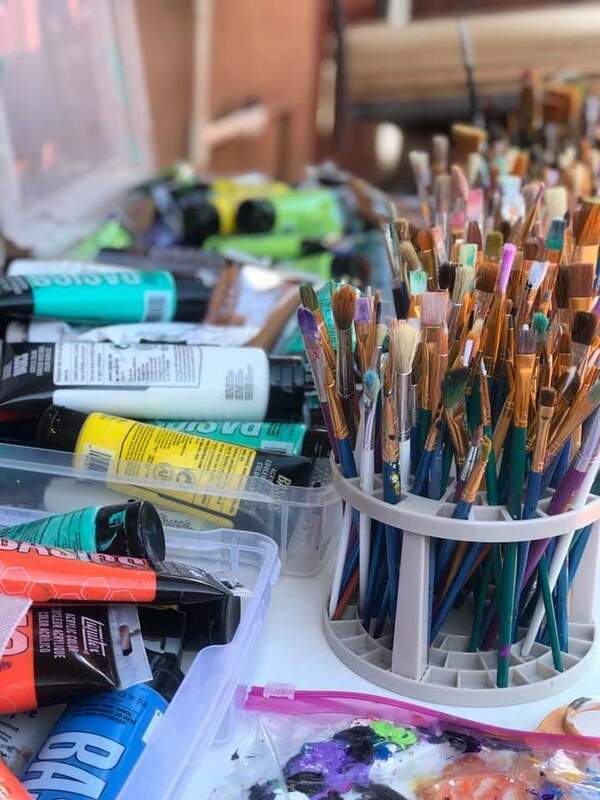 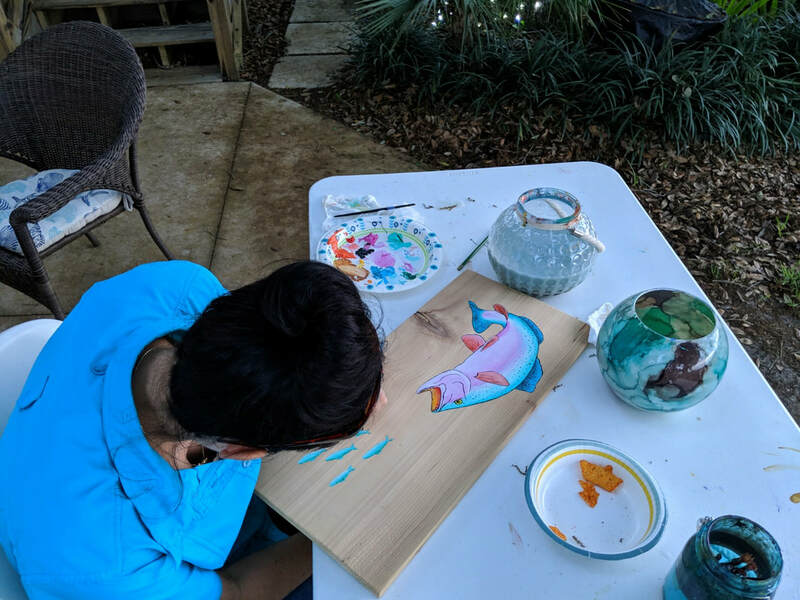 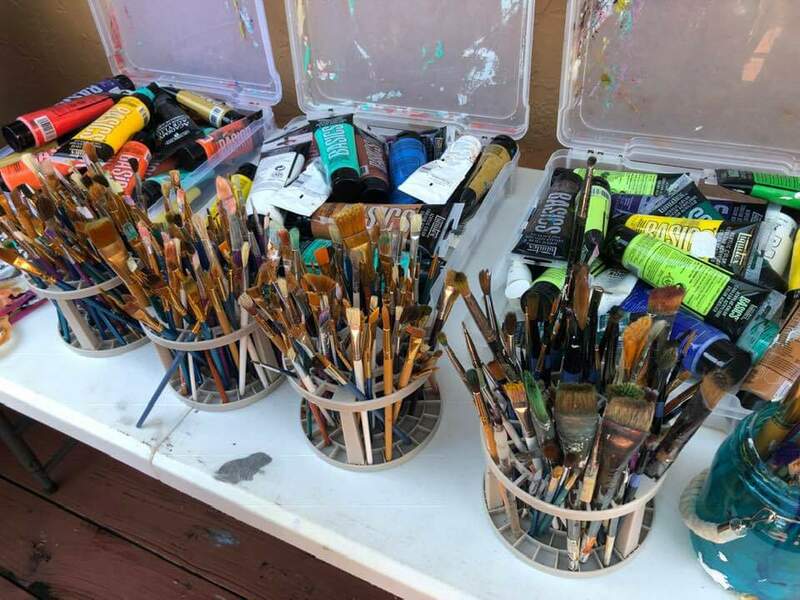 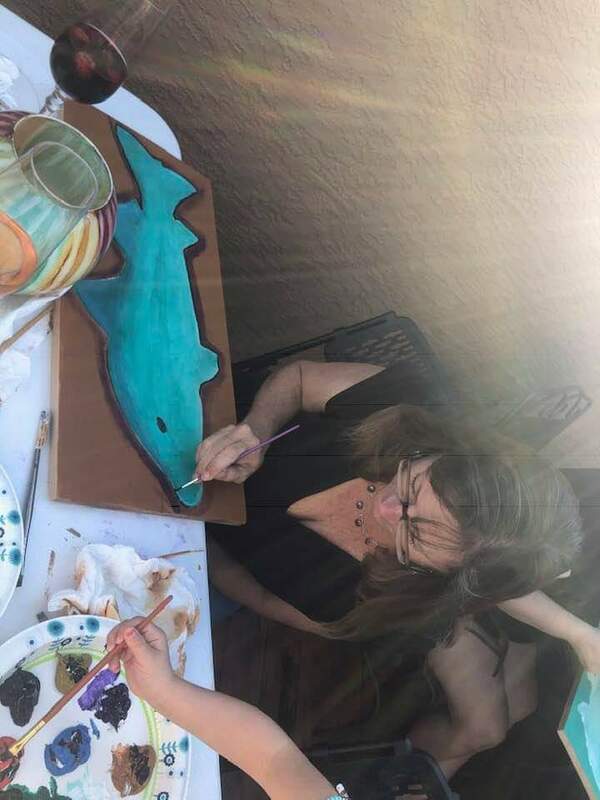 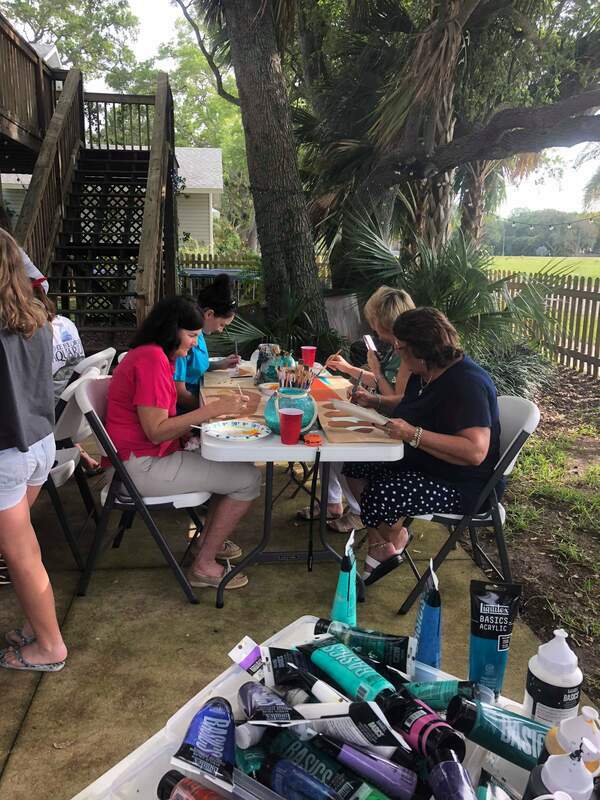 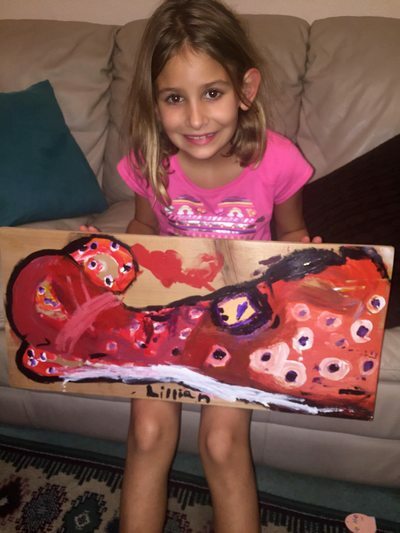 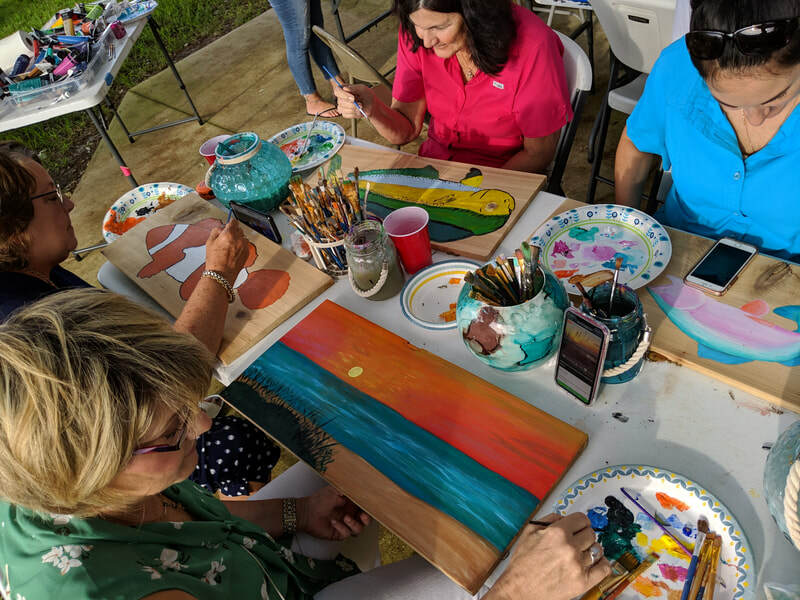 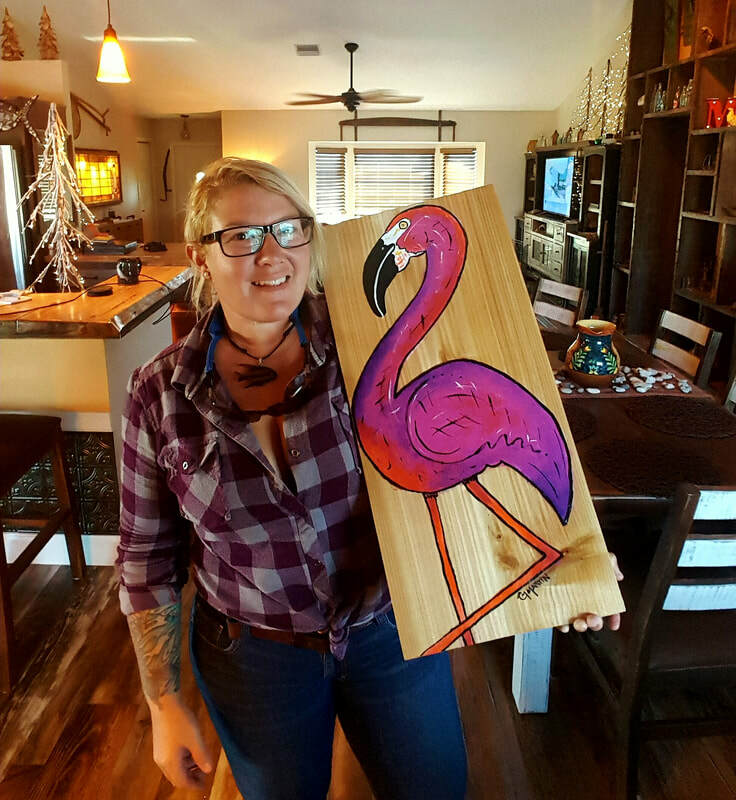 Flying pig and orange blossom paint night. 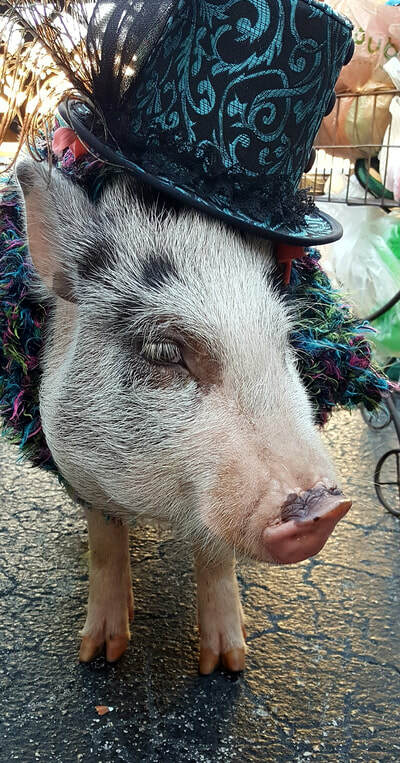 Pet pig meet 'n greet w/ costume contest. 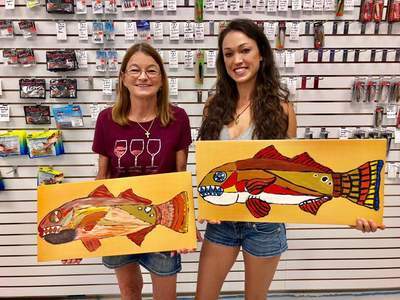 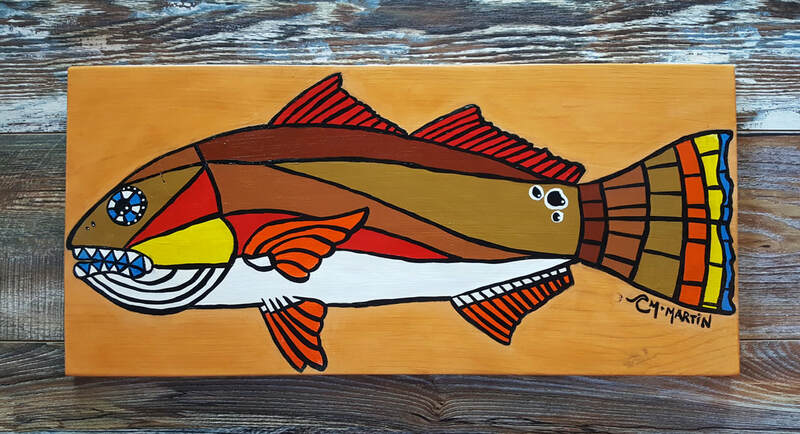 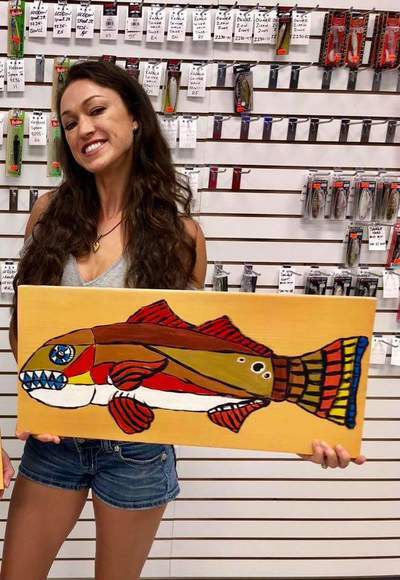 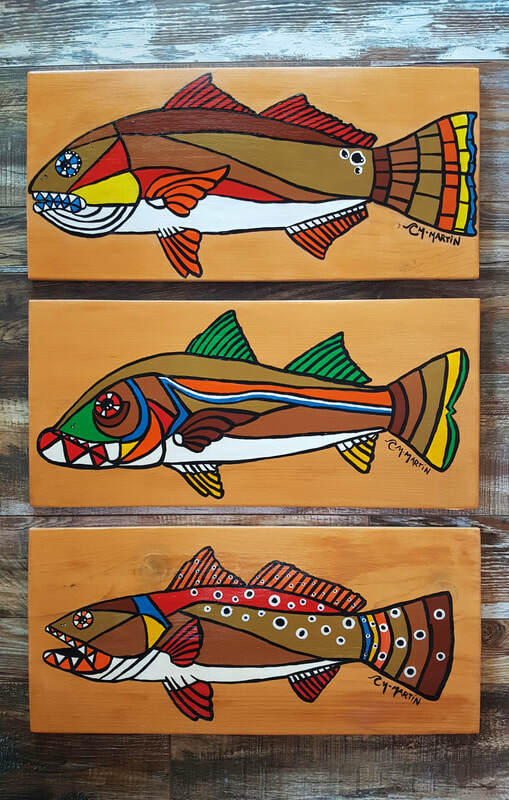 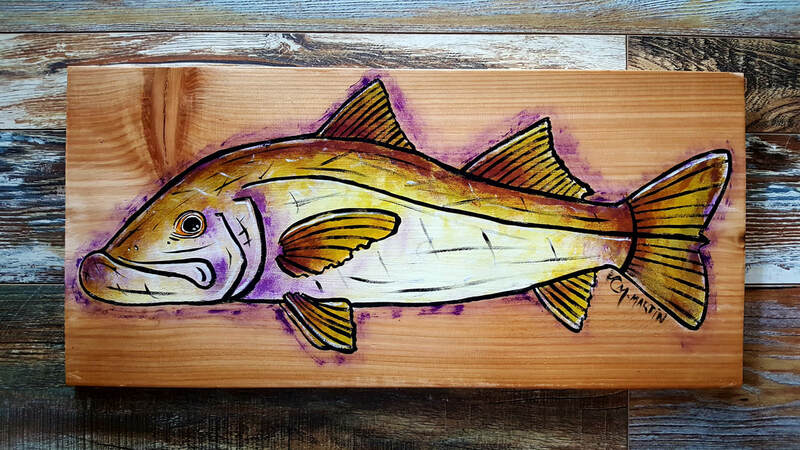 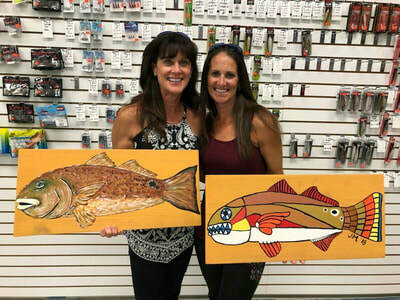 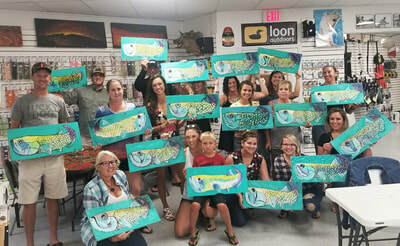 Redfish painting from the September 29th class. 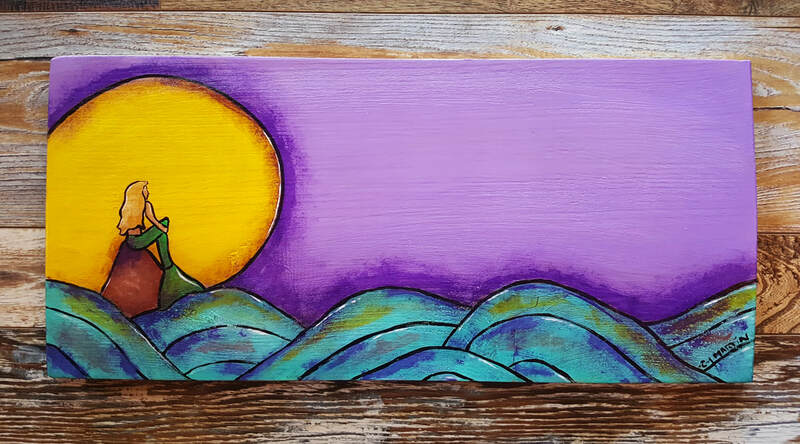 This will be part 1 of a 3part Fall inspired painting series. 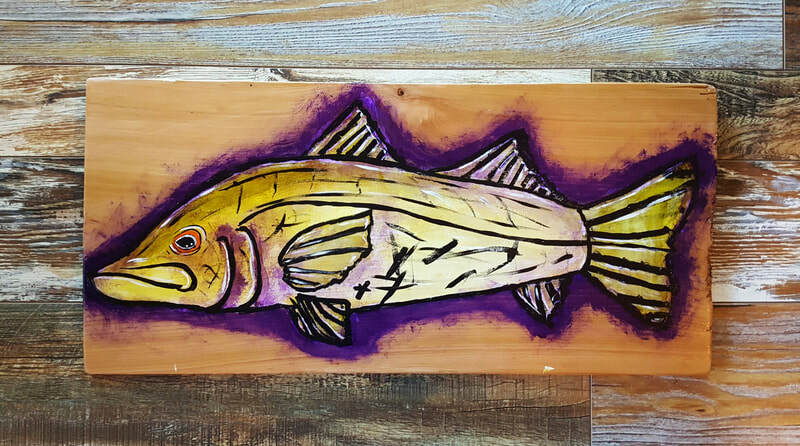 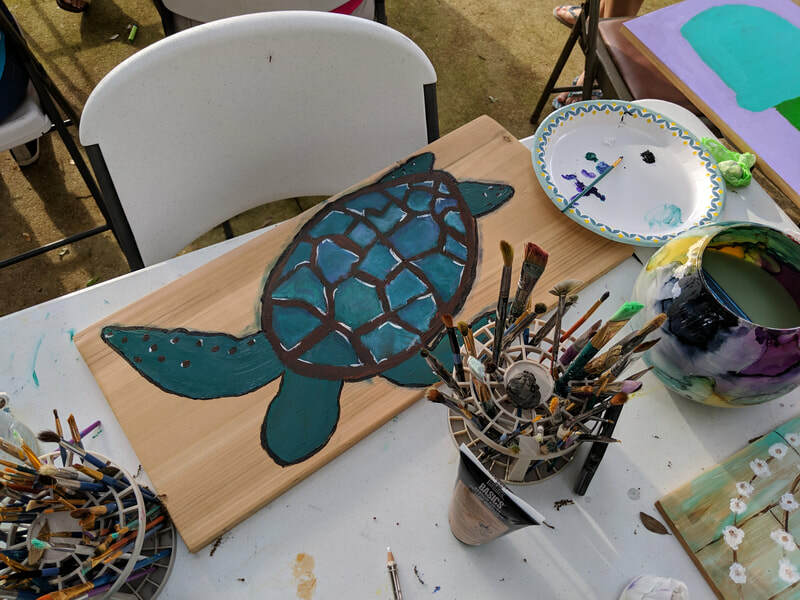 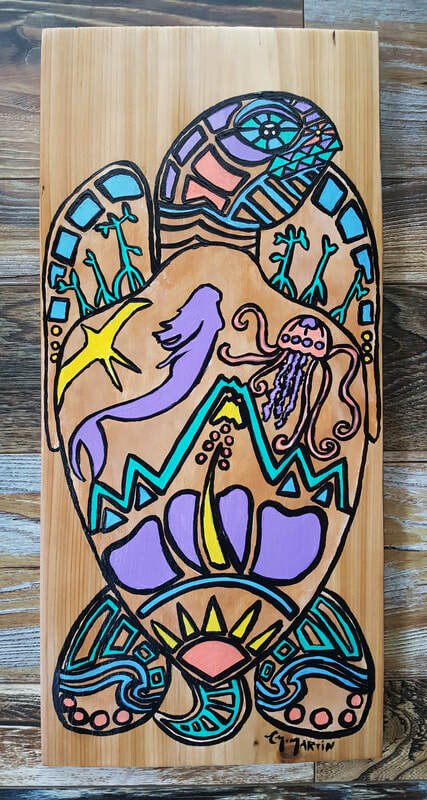 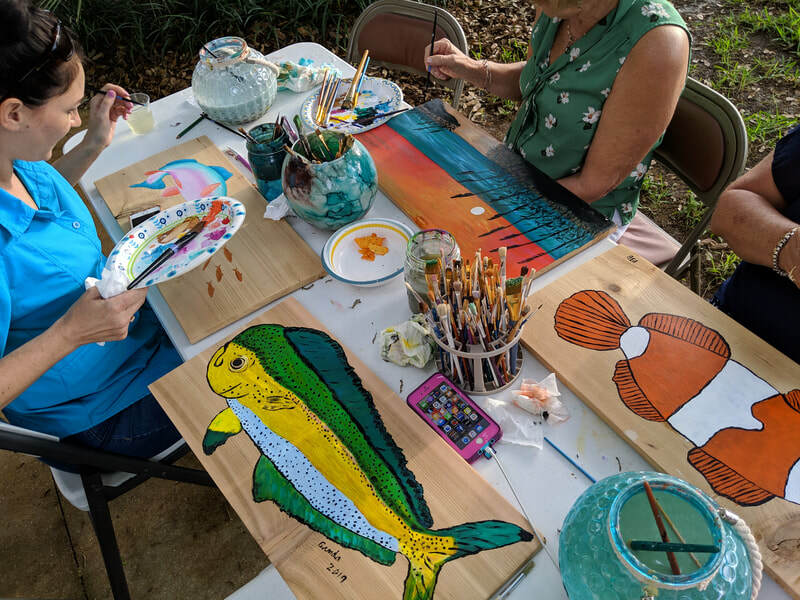 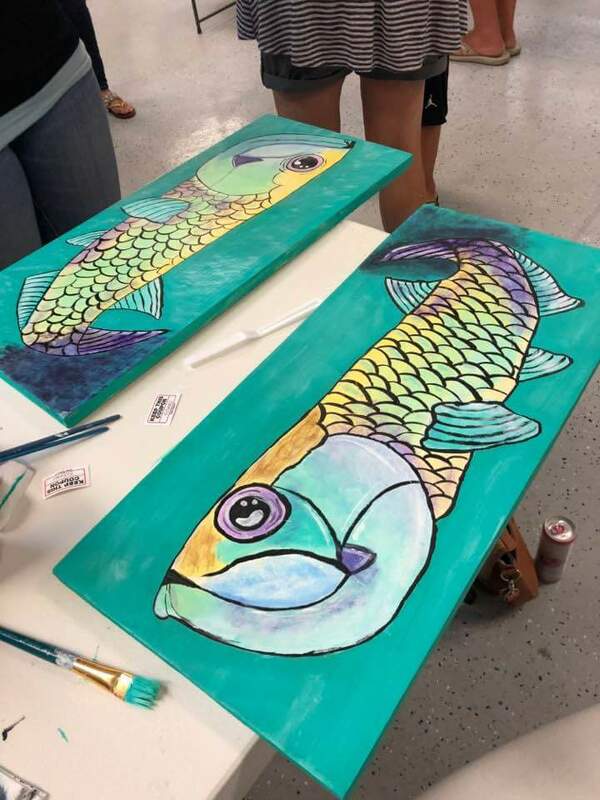 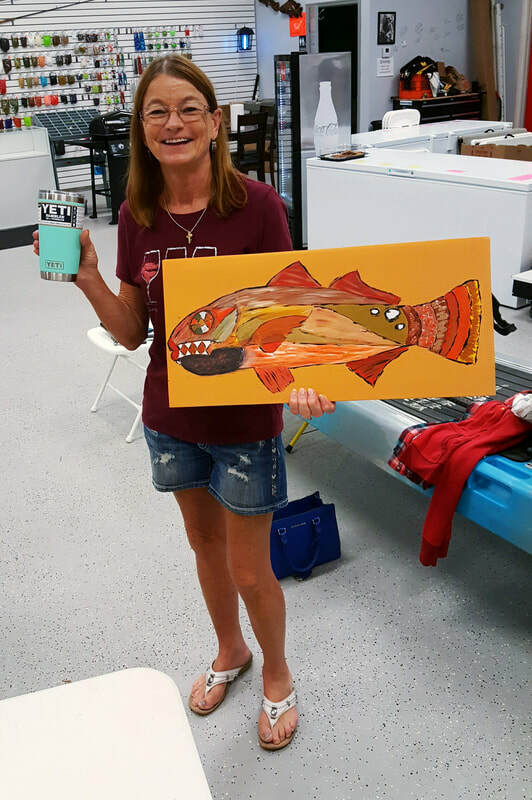 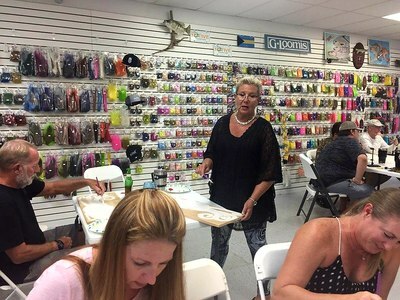 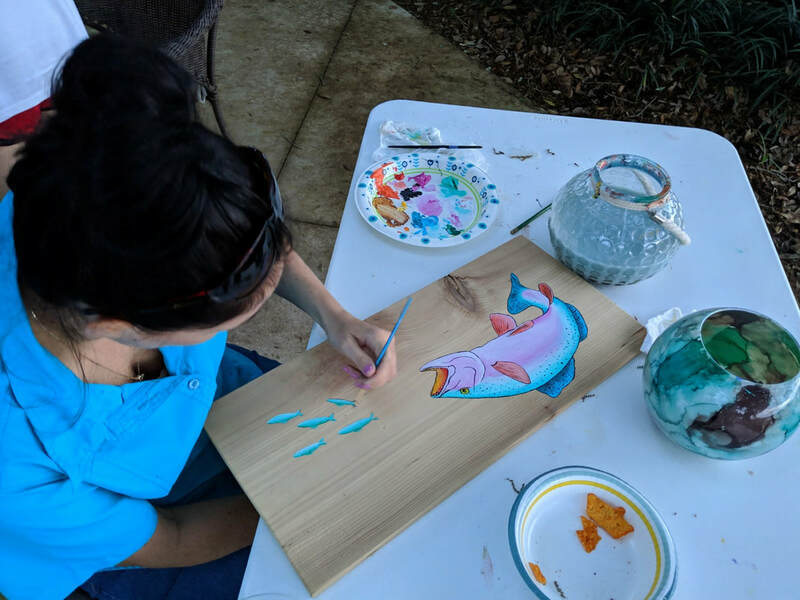 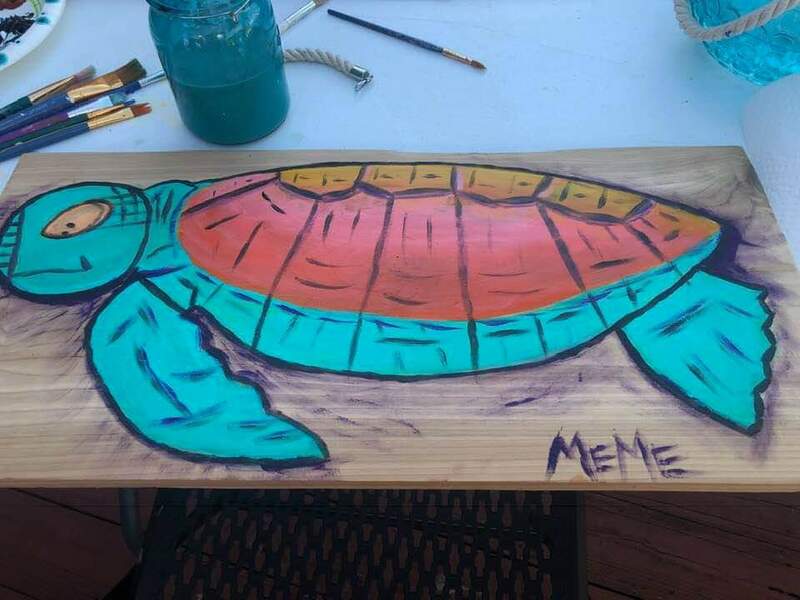 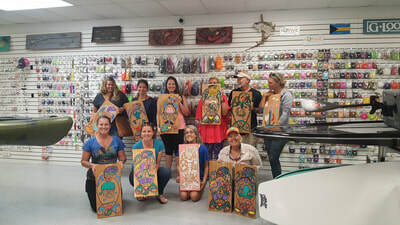 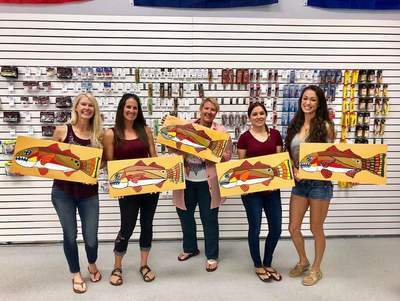 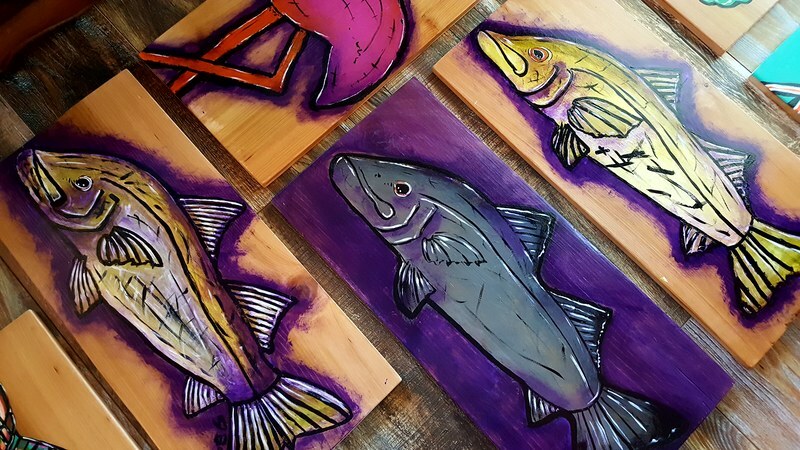 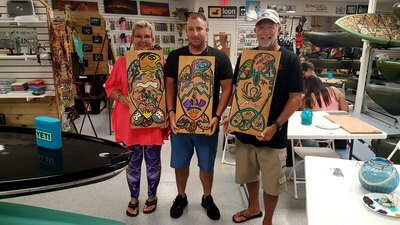 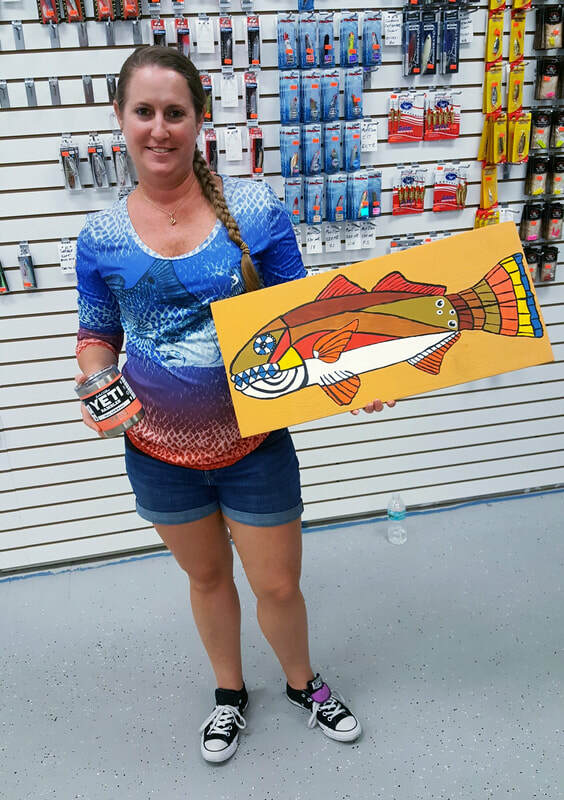 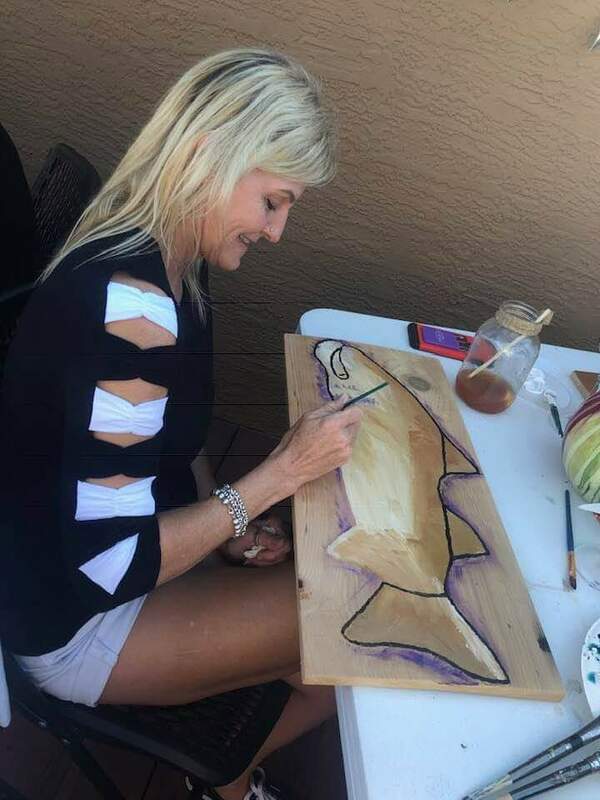 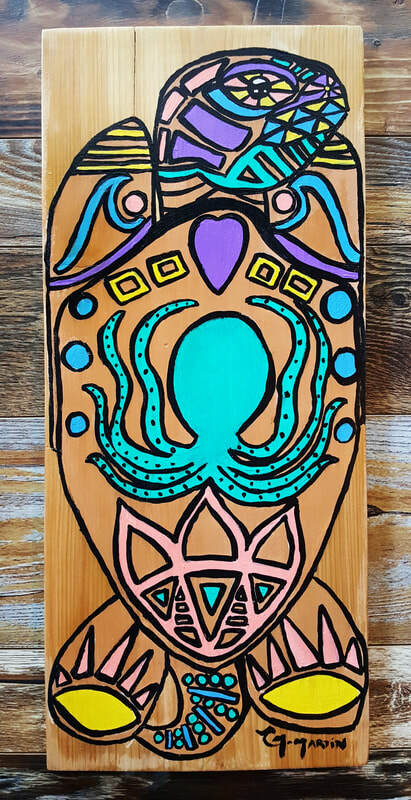 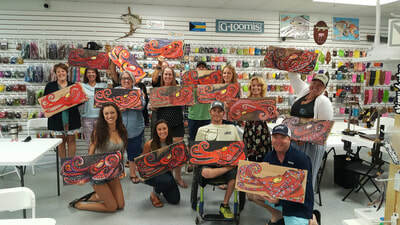 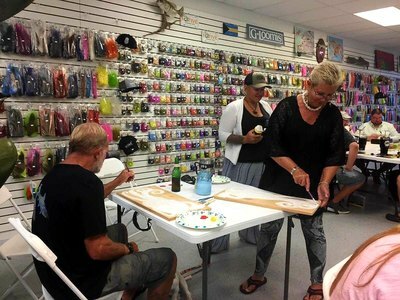 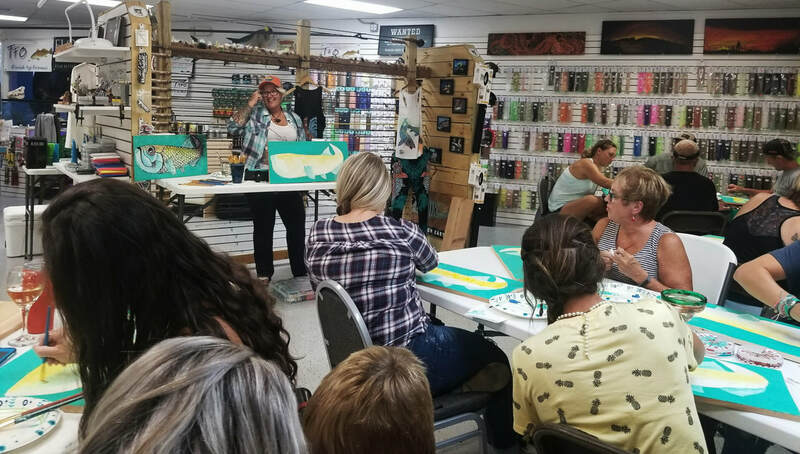 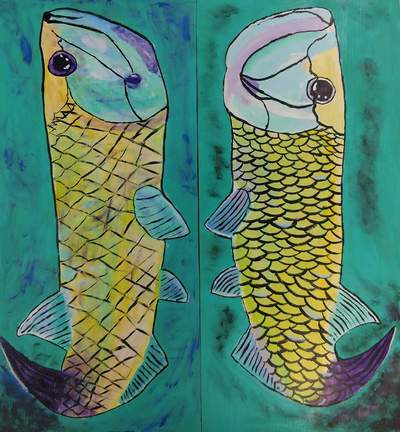 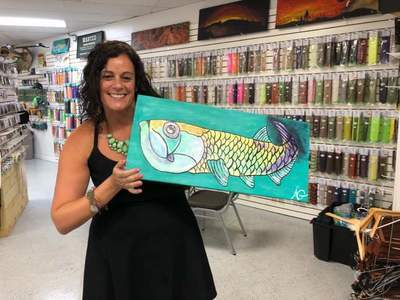 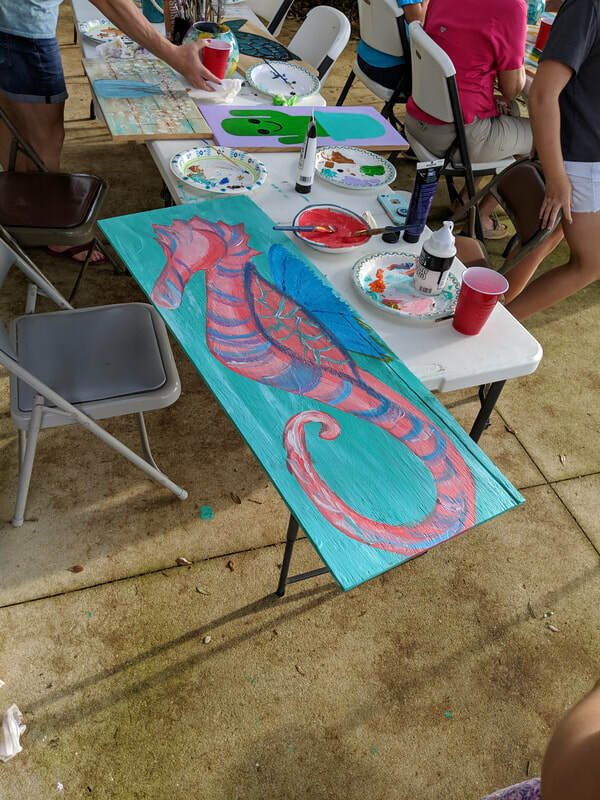 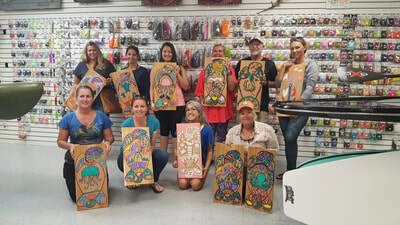 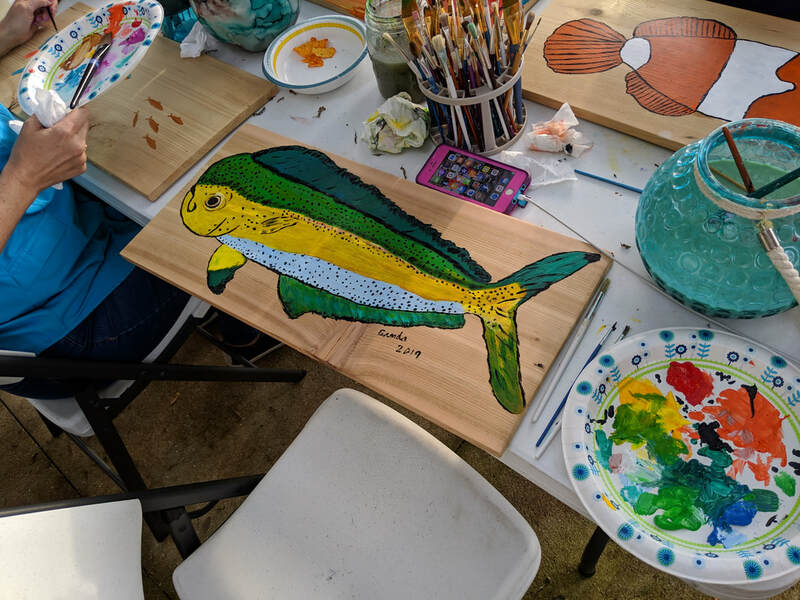 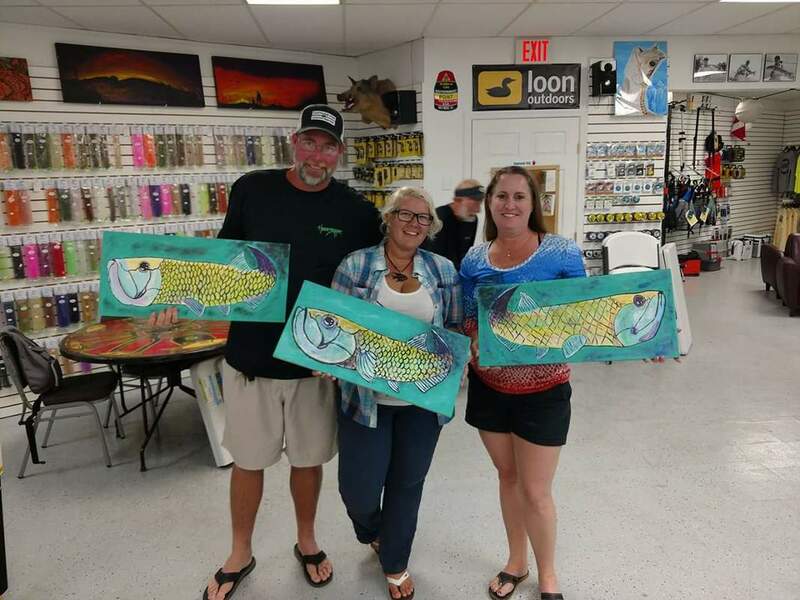 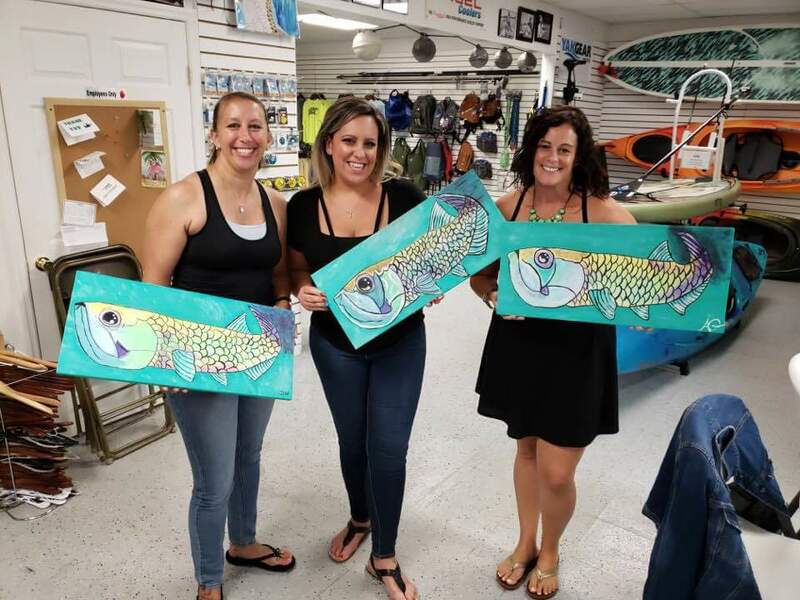 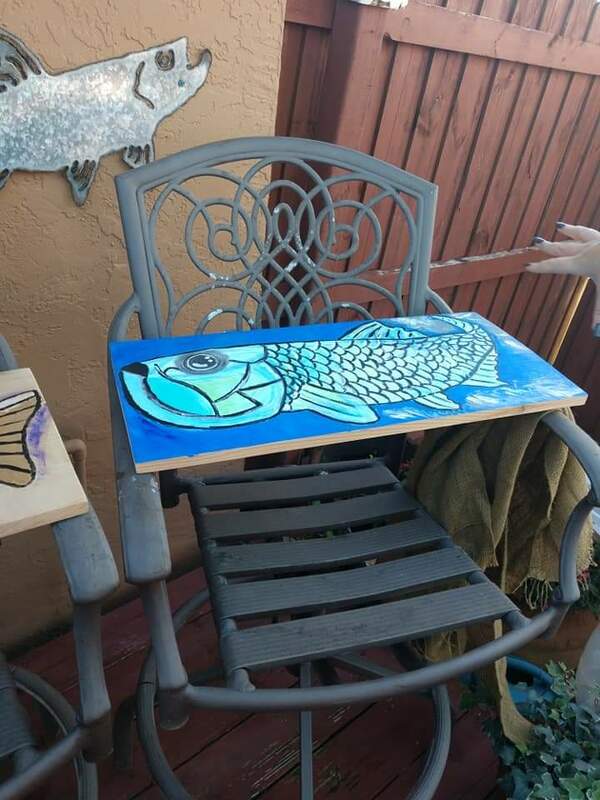 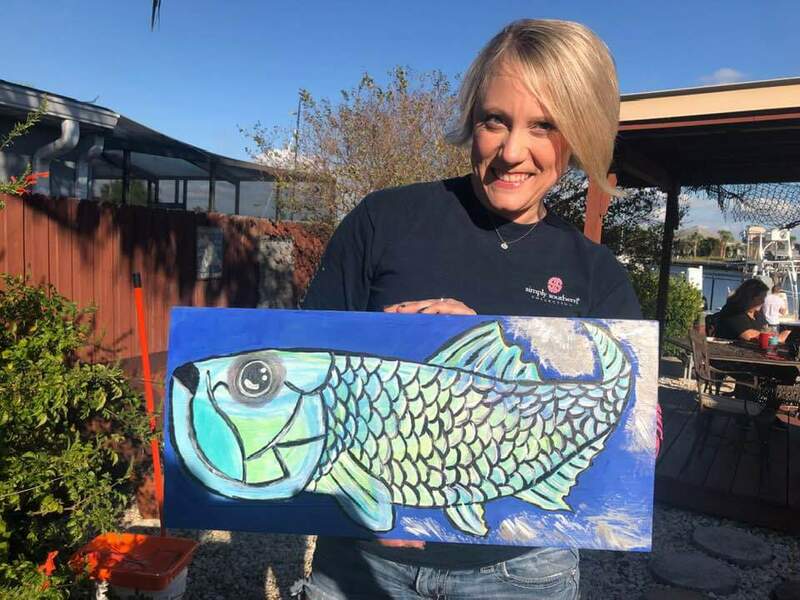 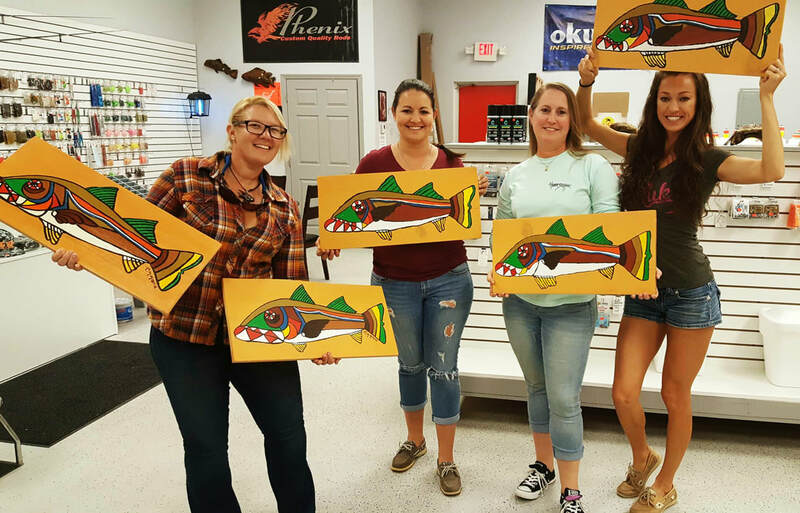 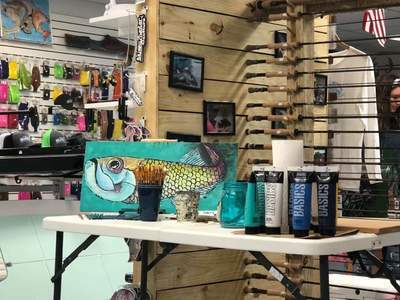 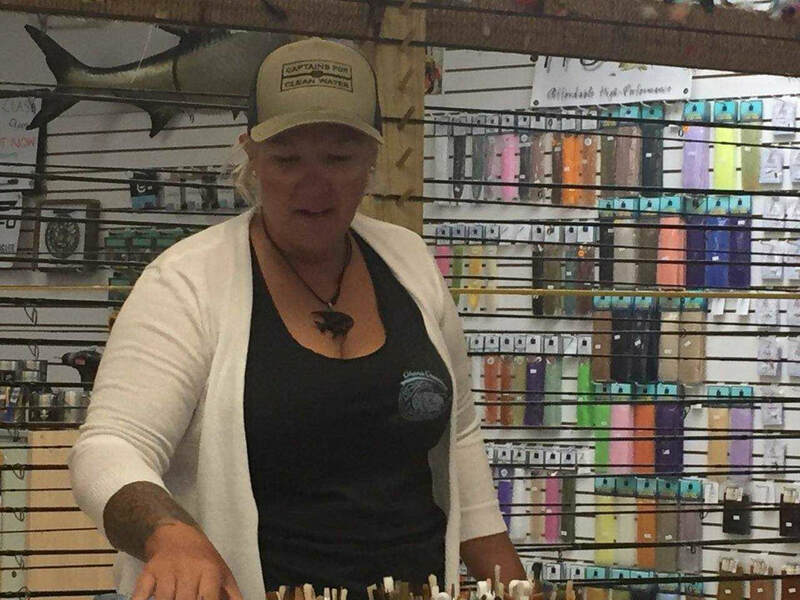 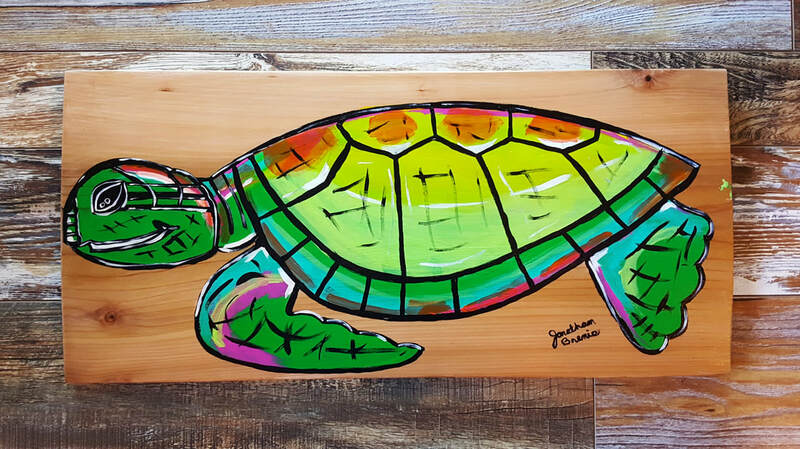 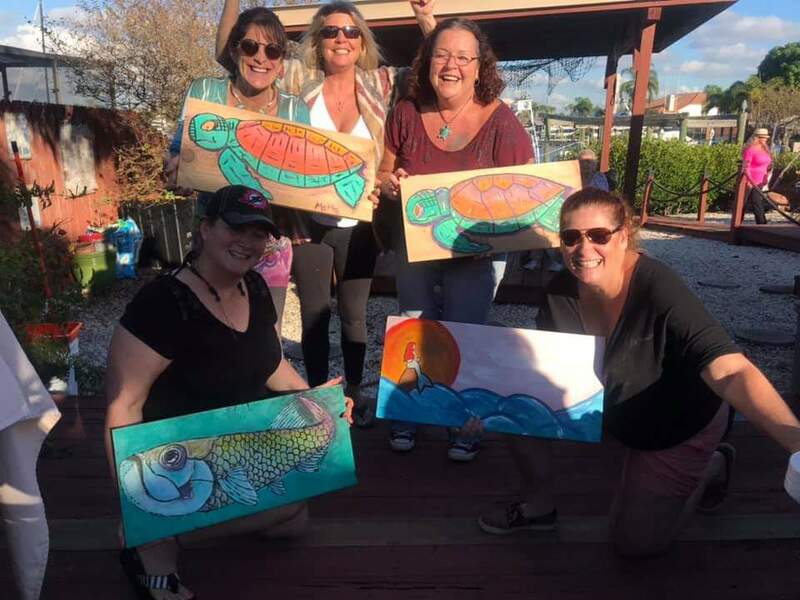 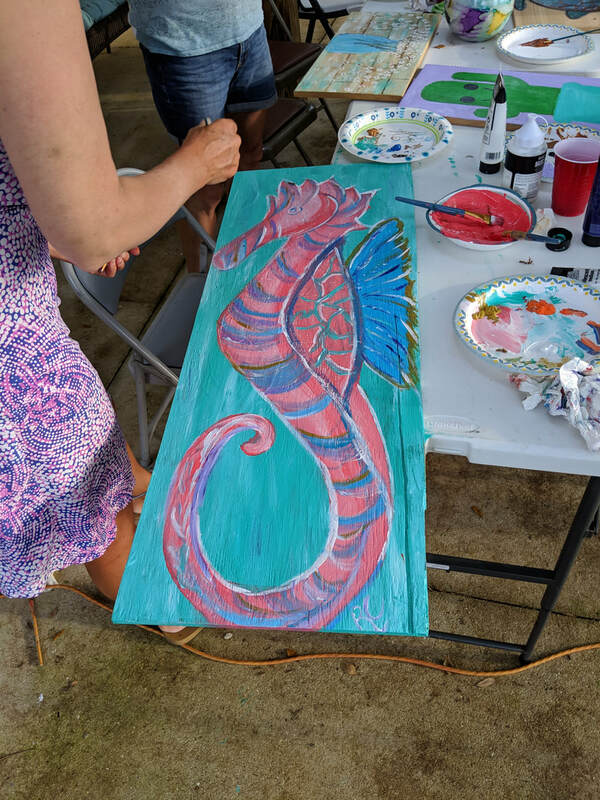 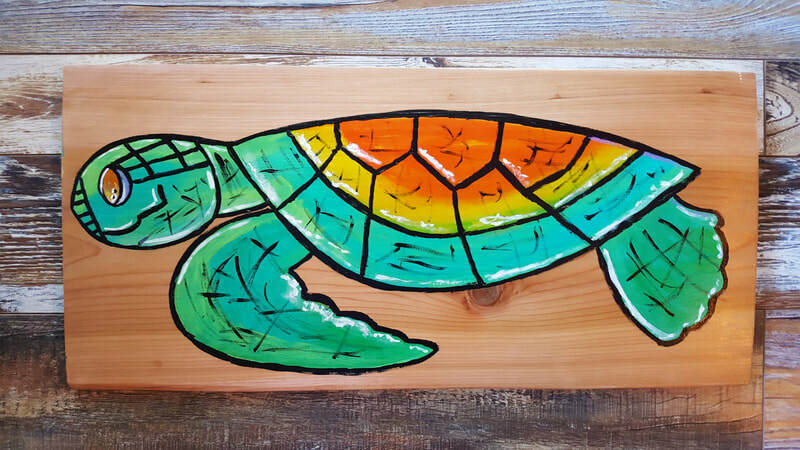 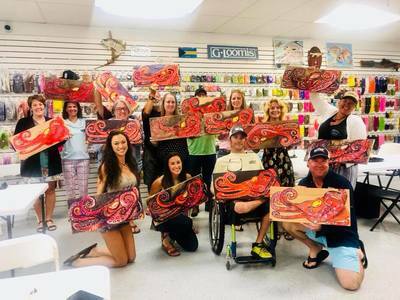 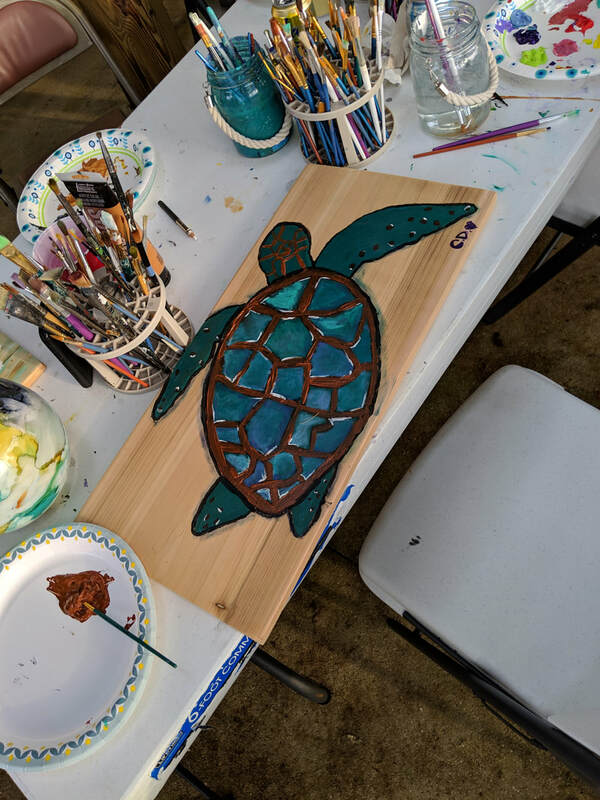 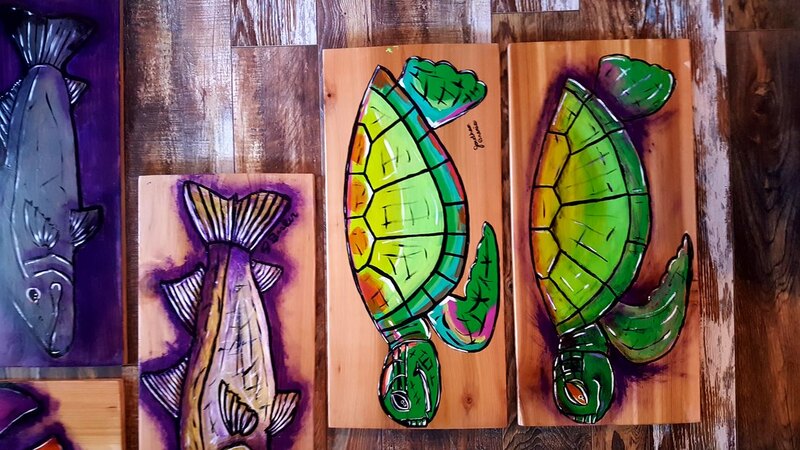 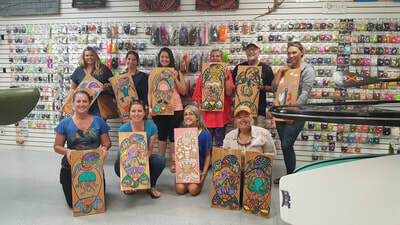 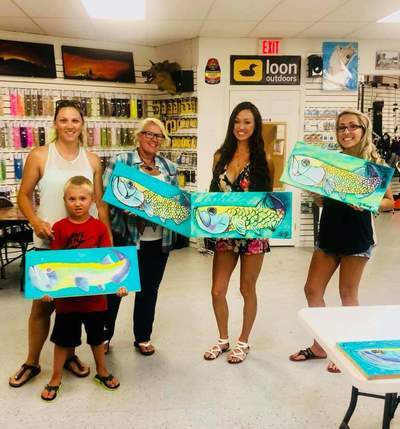 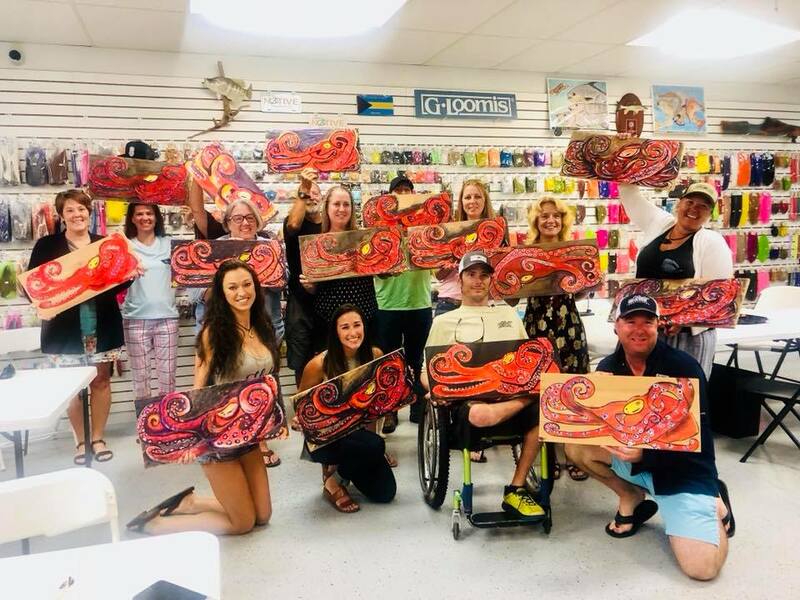 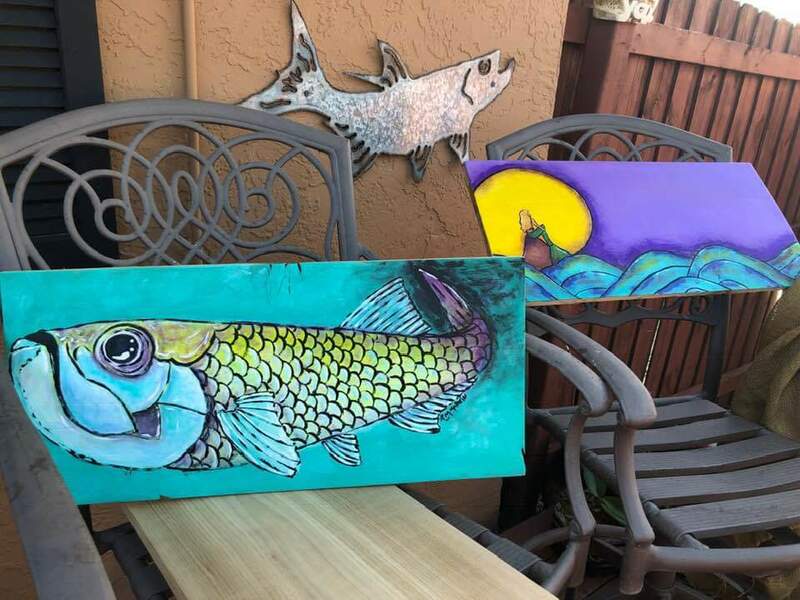 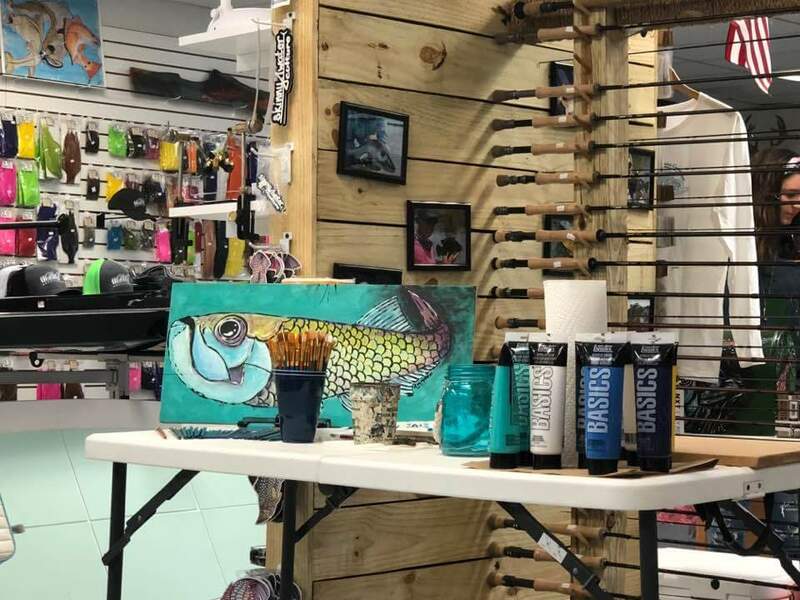 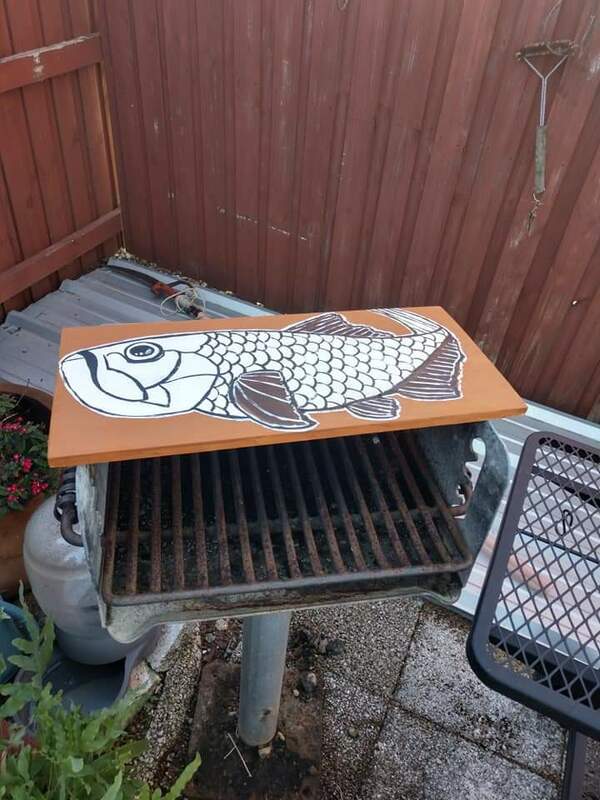 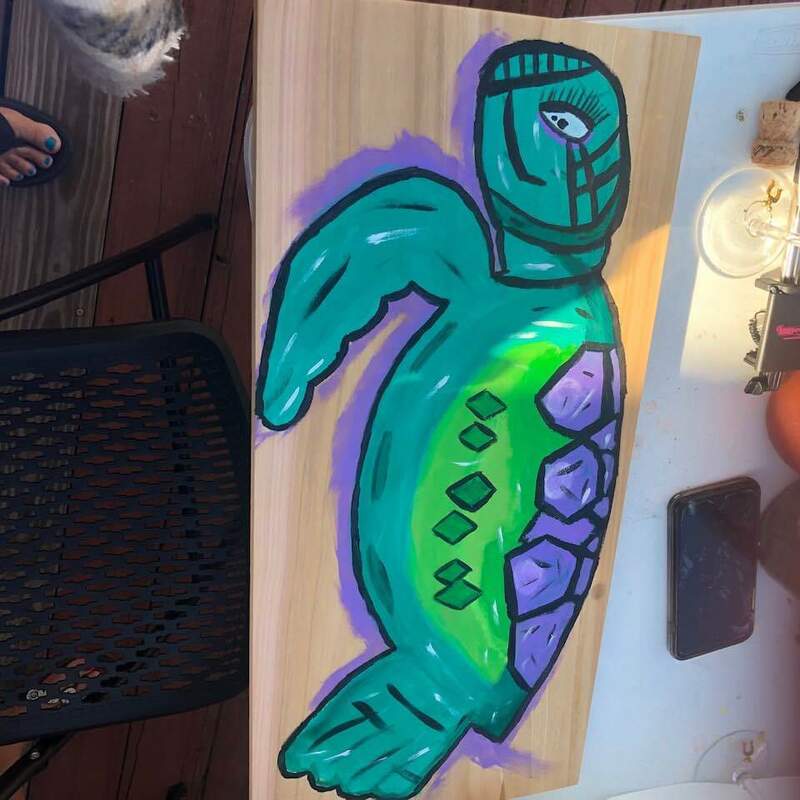 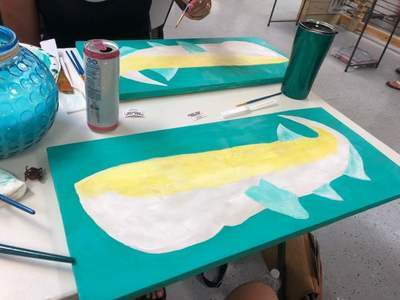 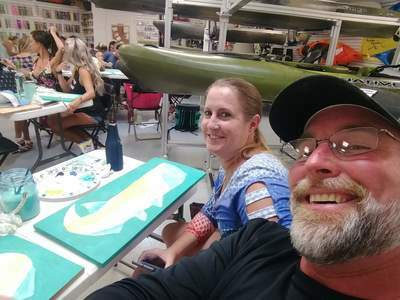 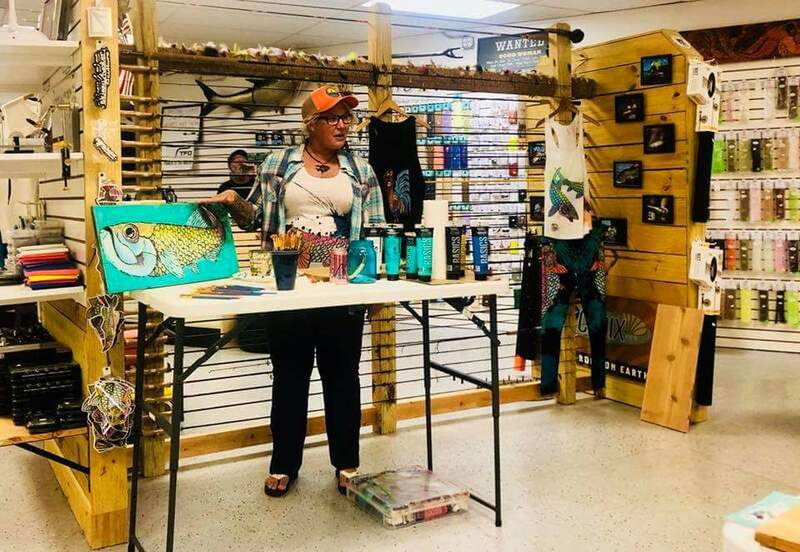 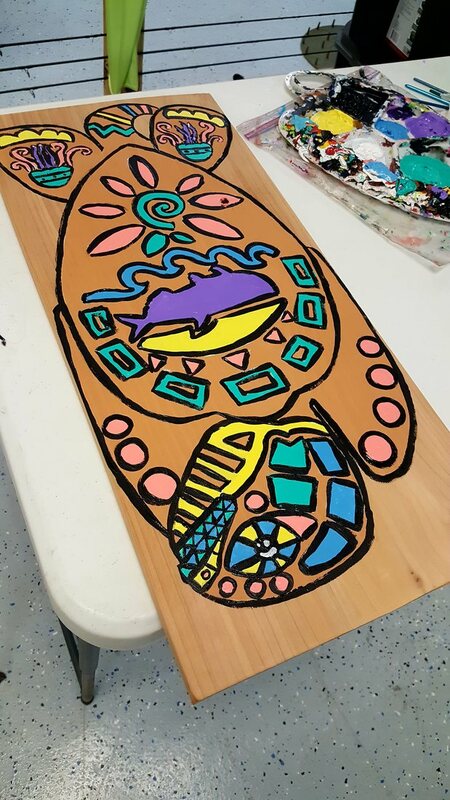 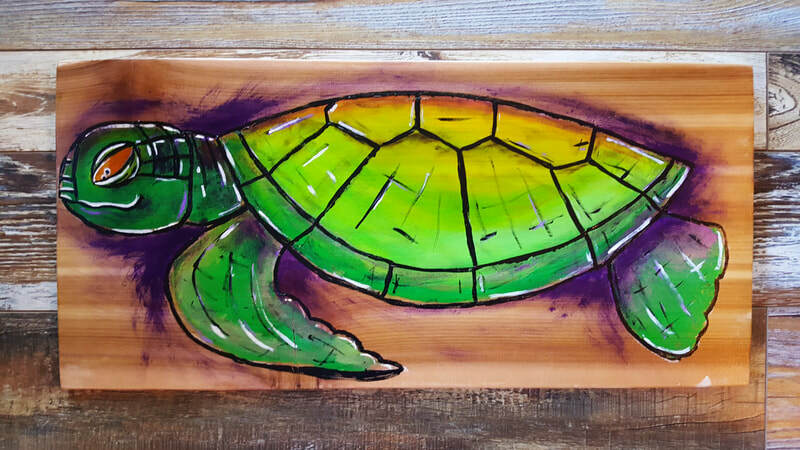 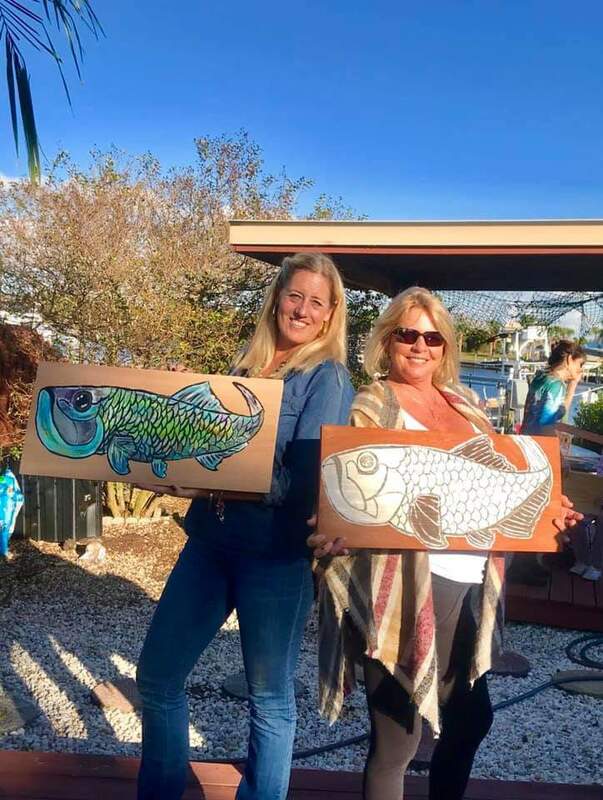 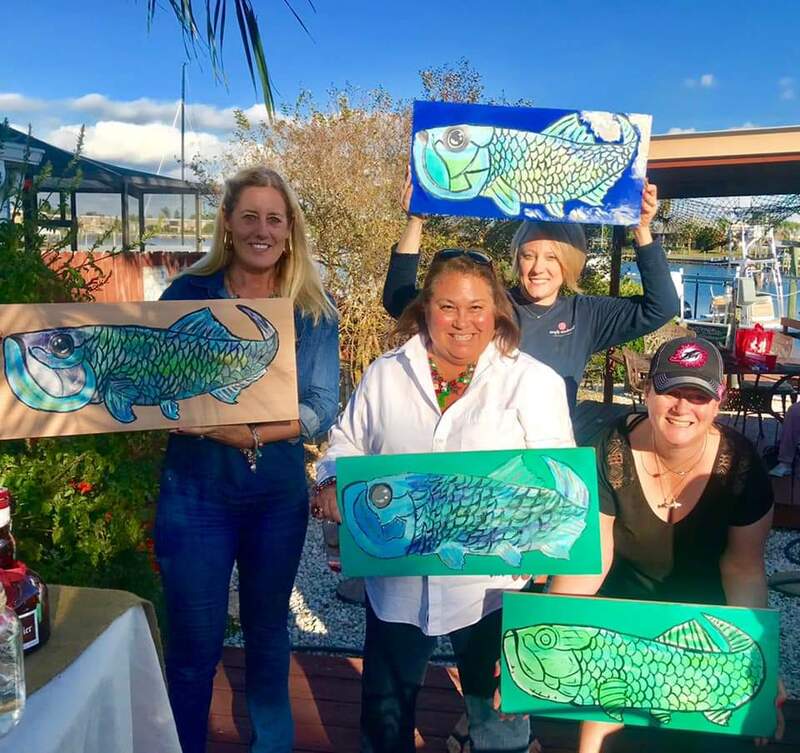 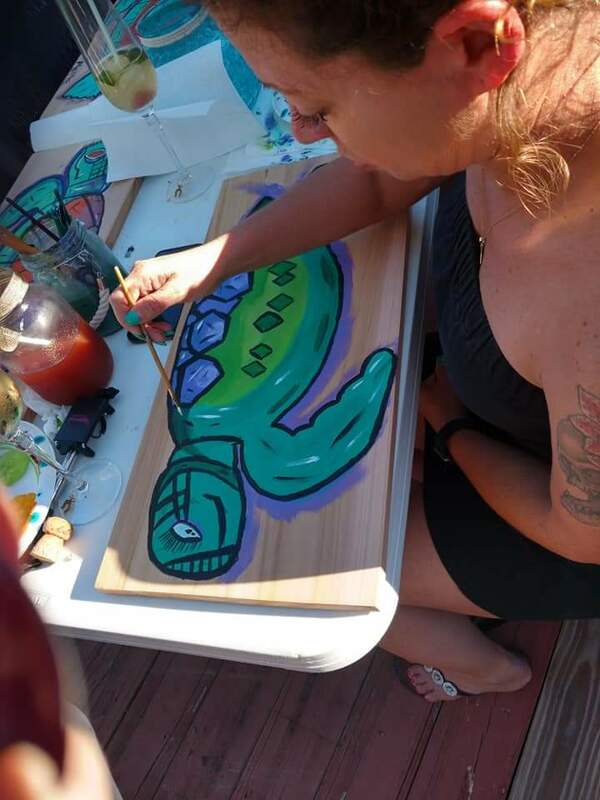 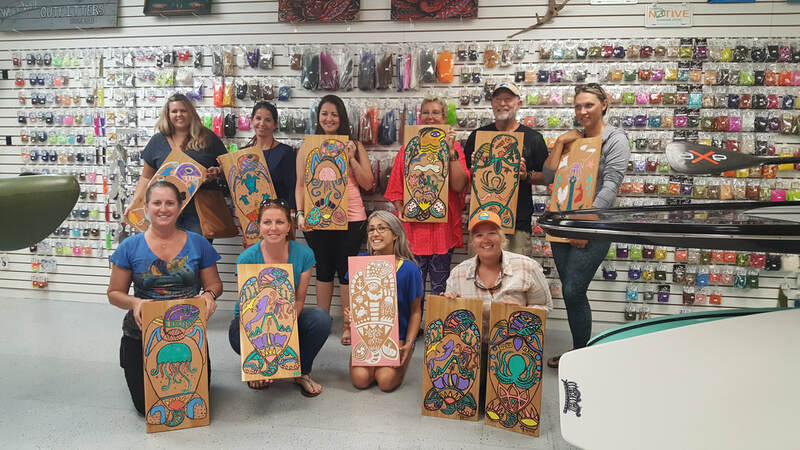 Tarpon painting we created in the June 23rd class.